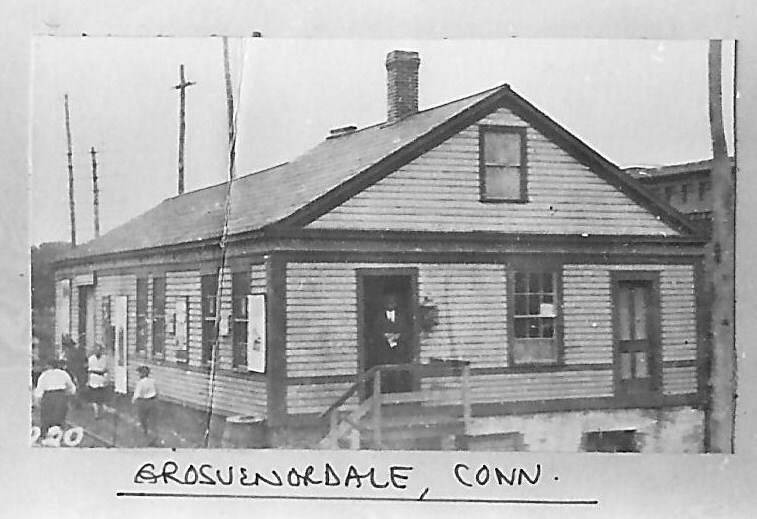 The photograph on the left has a date of August 24, 1954 stamped on the back and looks to be a Charlie Gunn shot of the period. 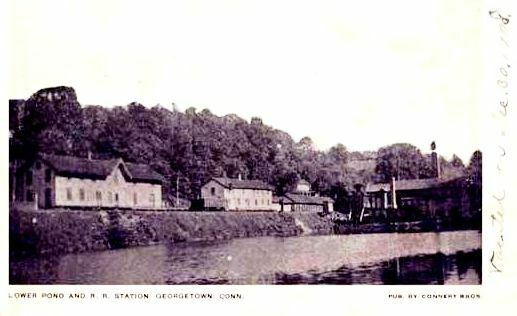 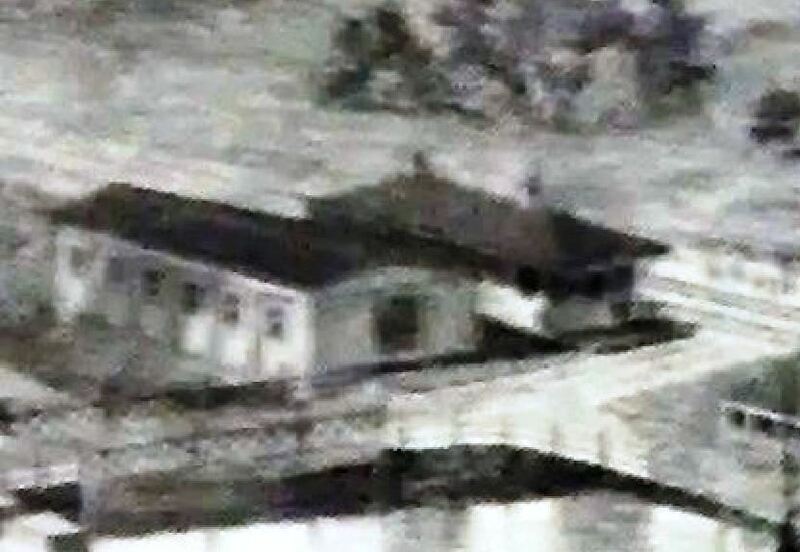 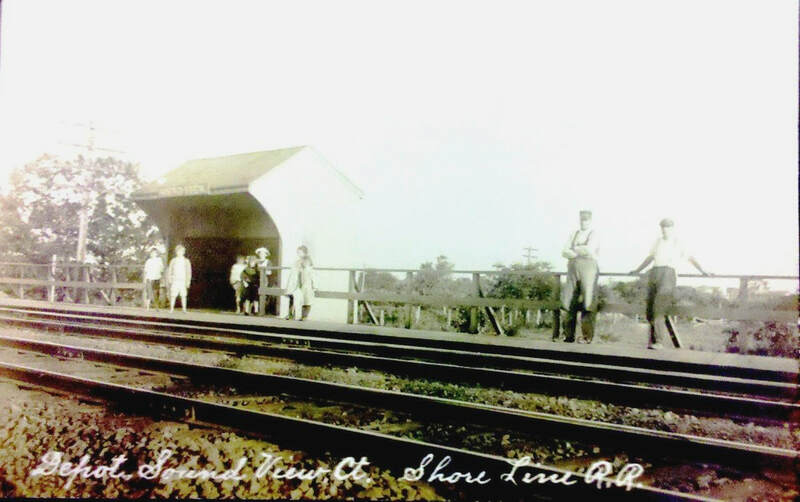 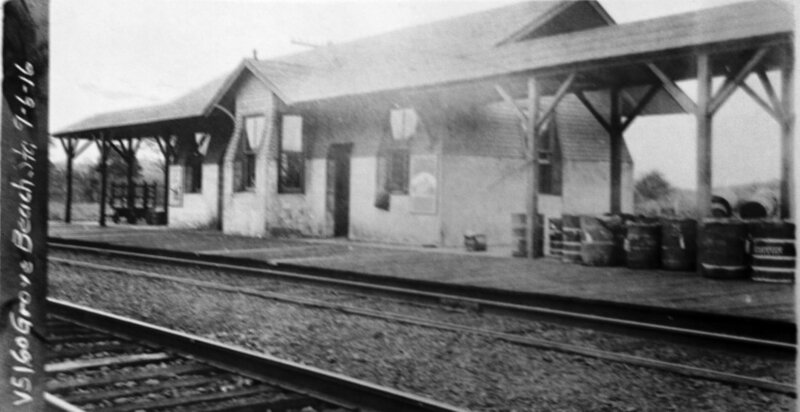 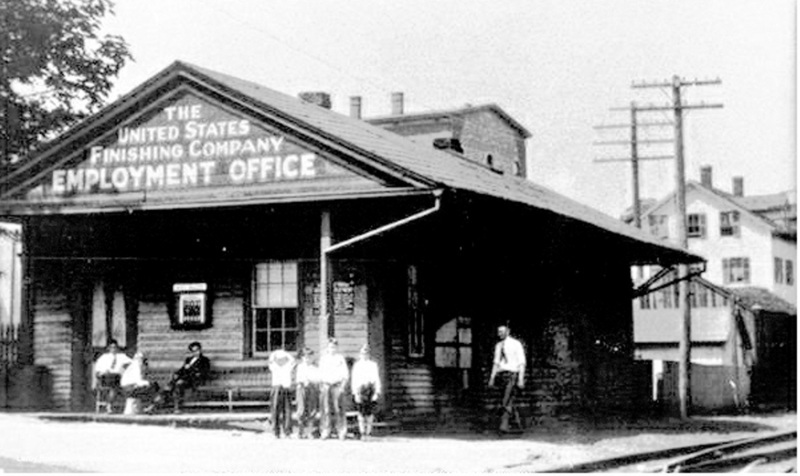 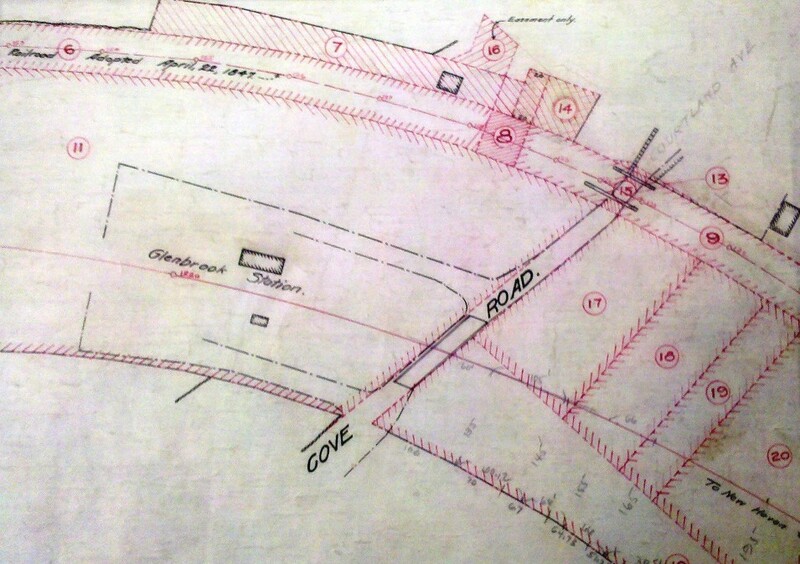 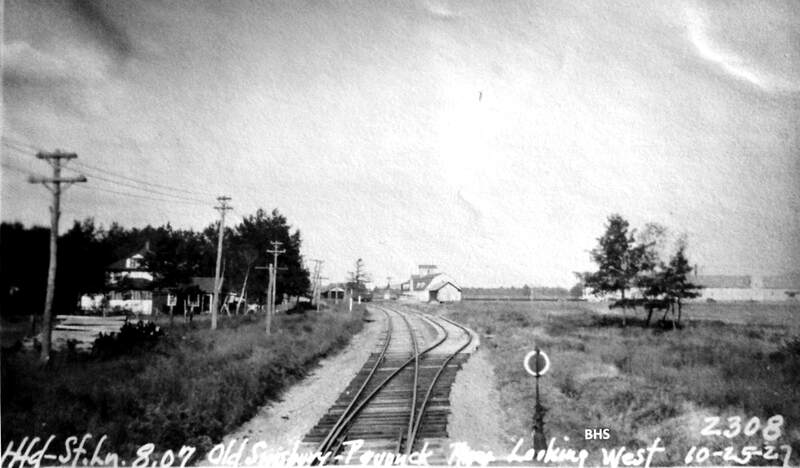 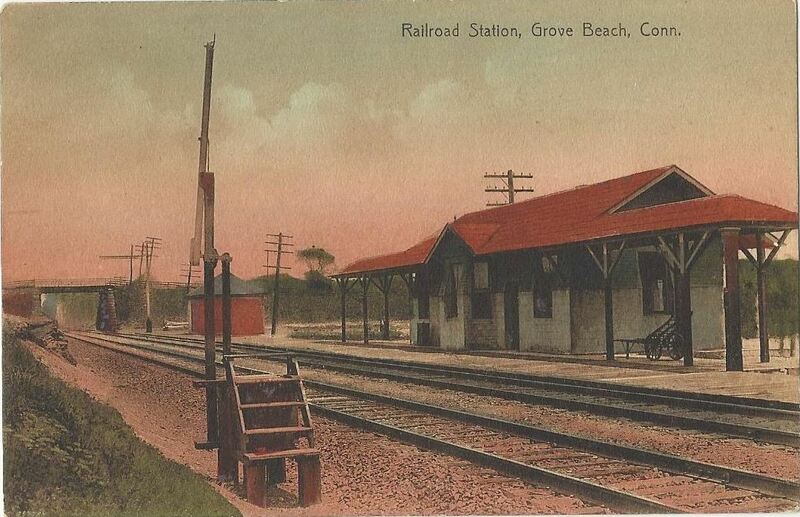 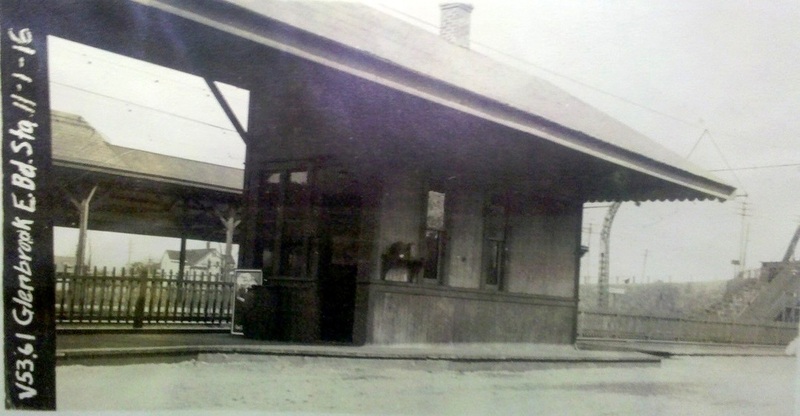 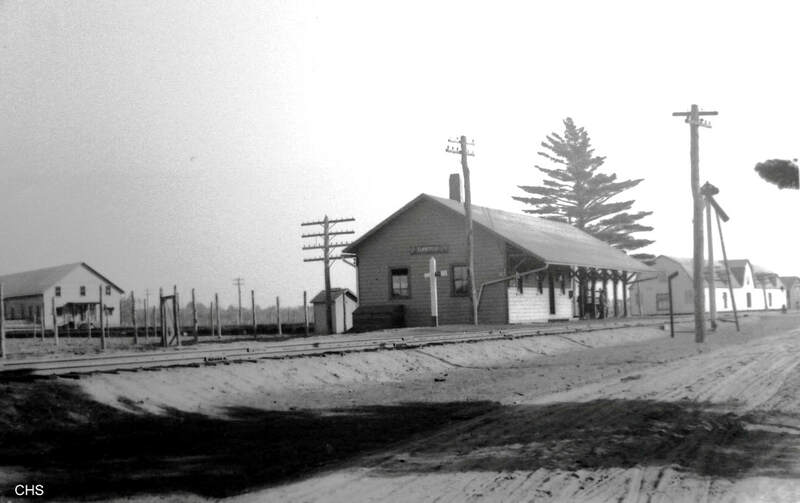 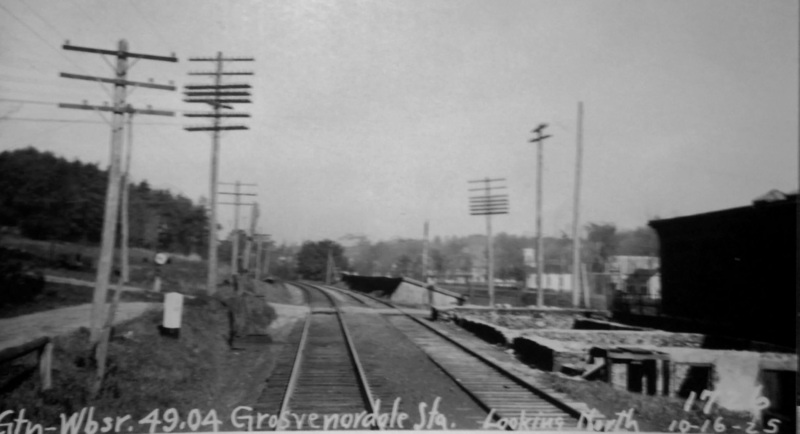 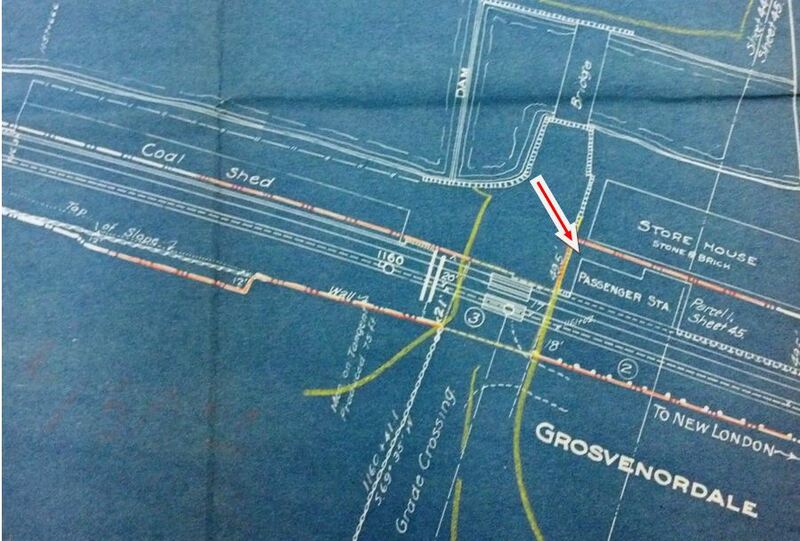 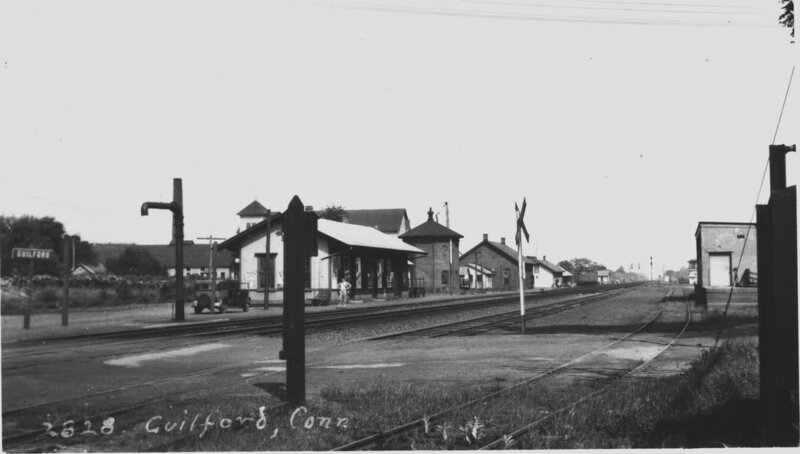 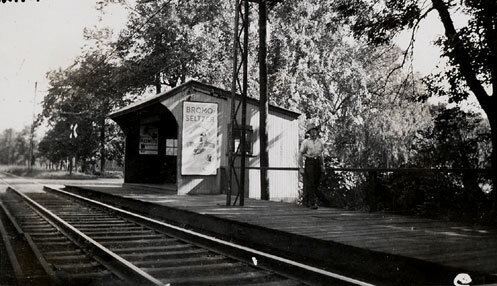 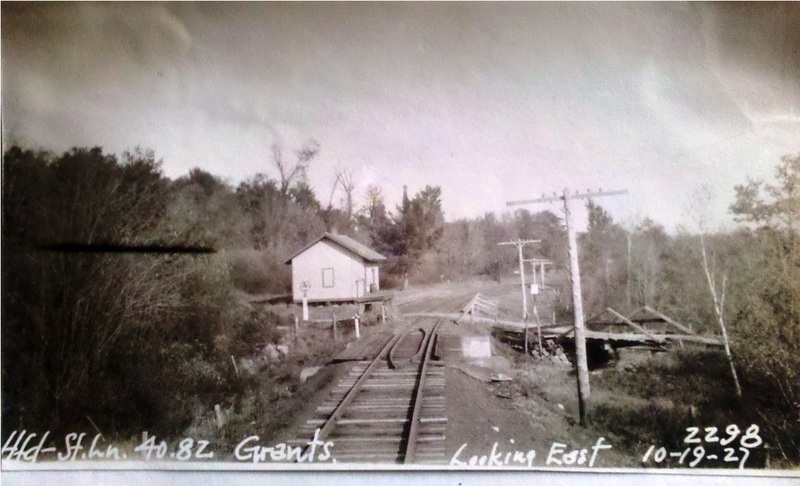 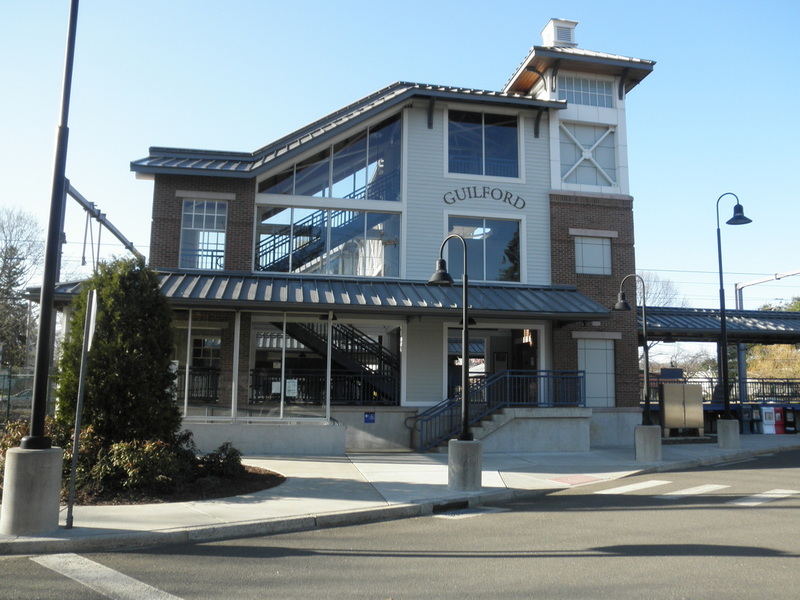 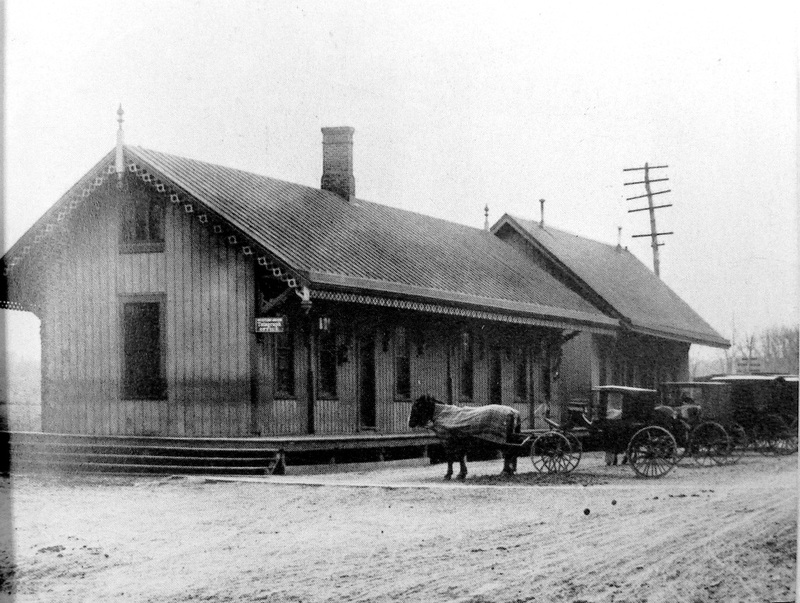 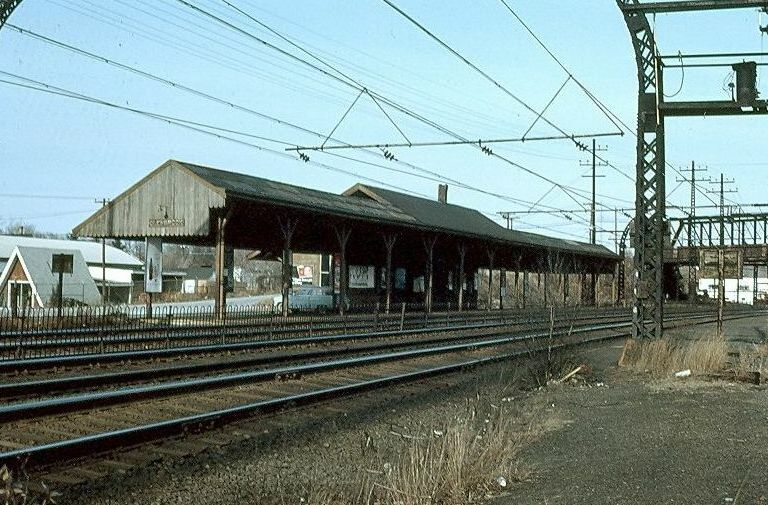 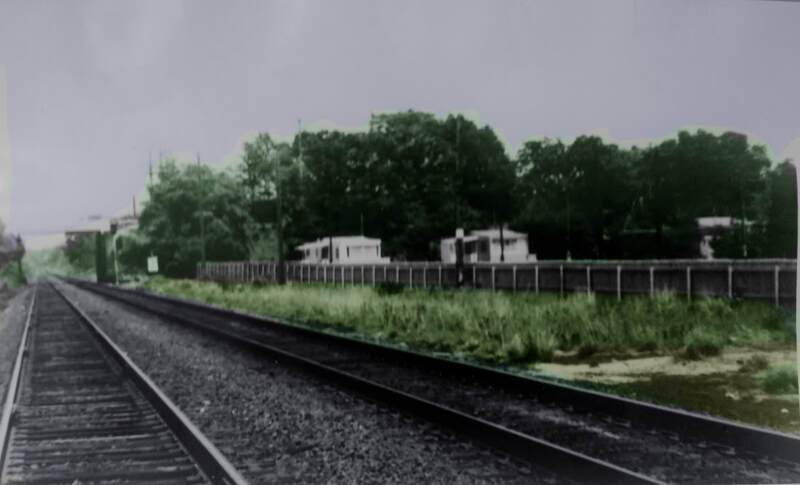 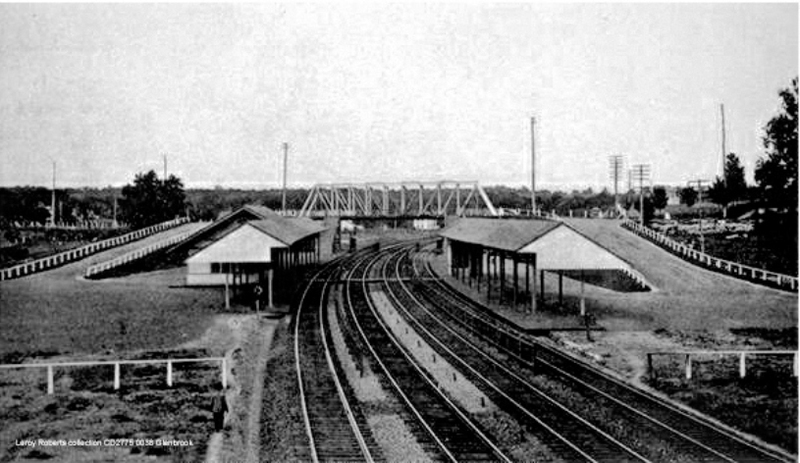 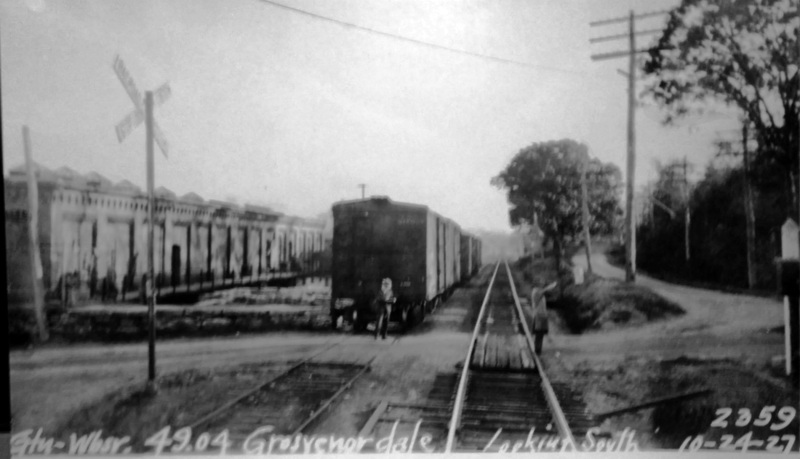 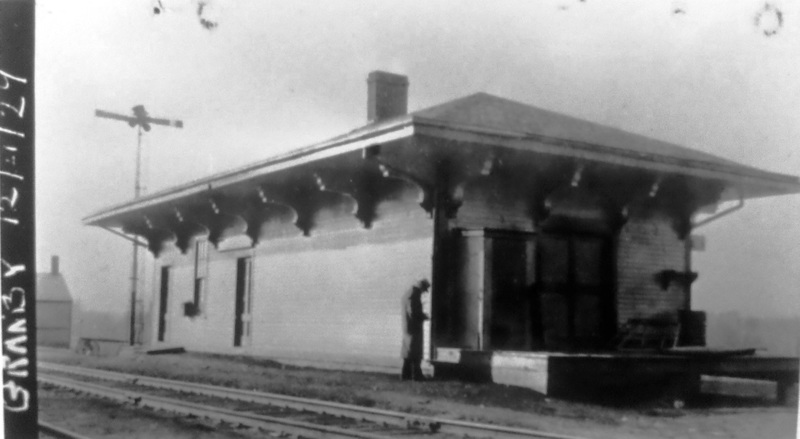 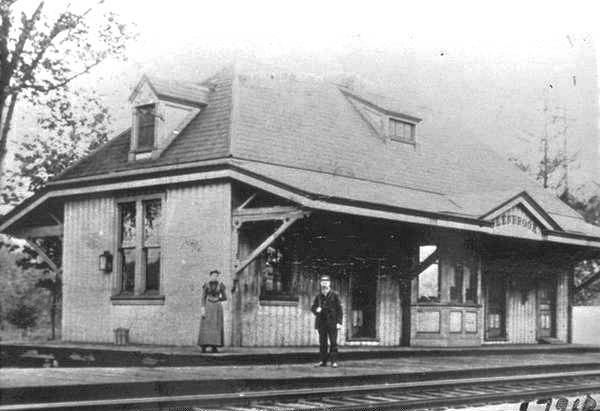 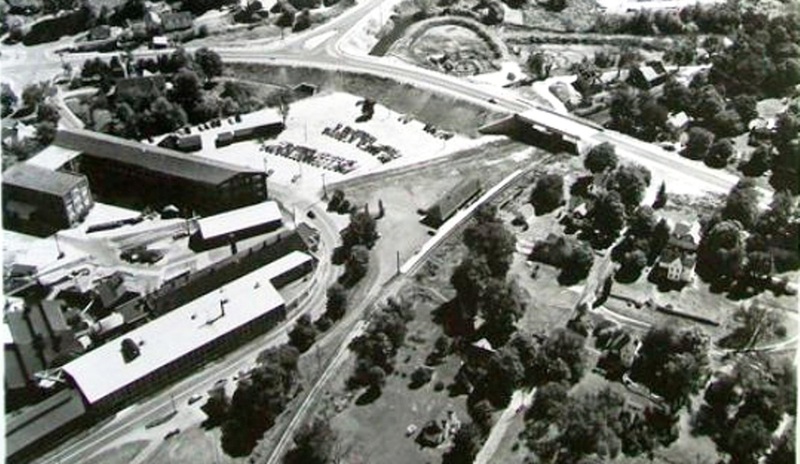 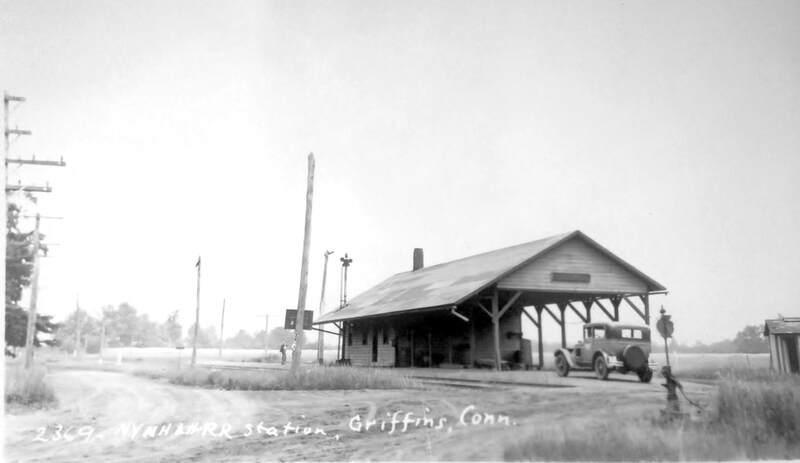 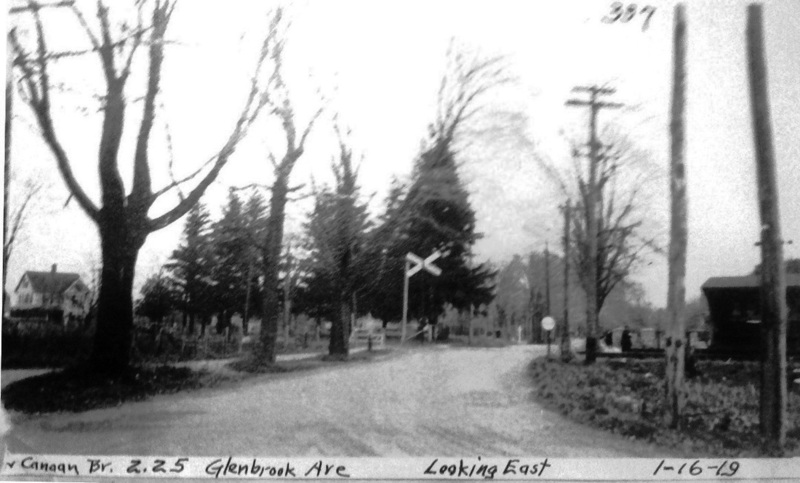 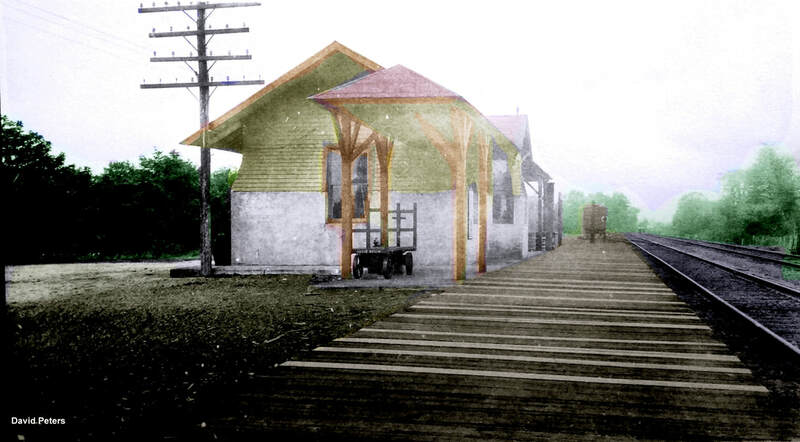 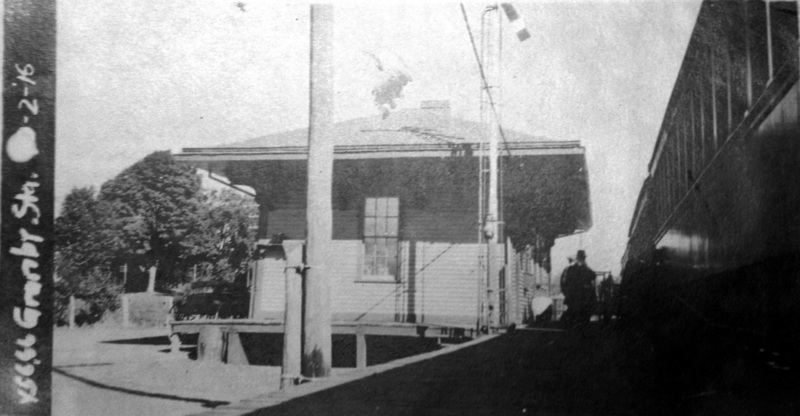 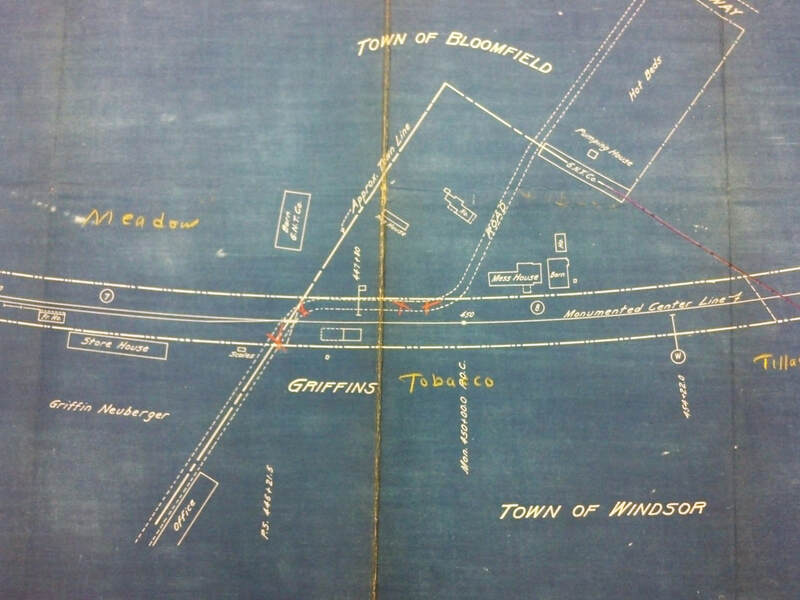 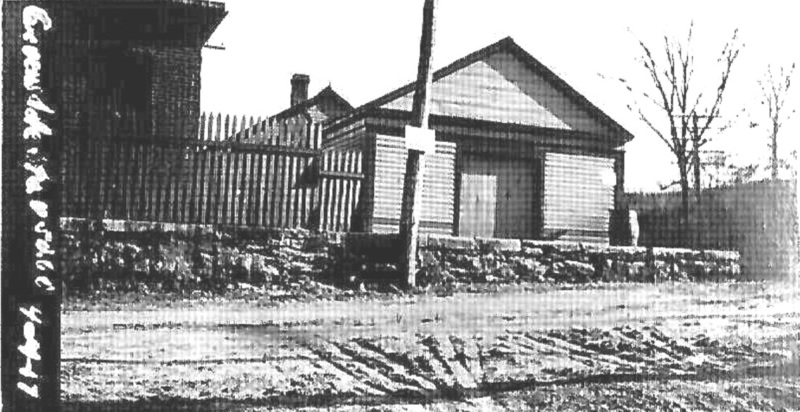 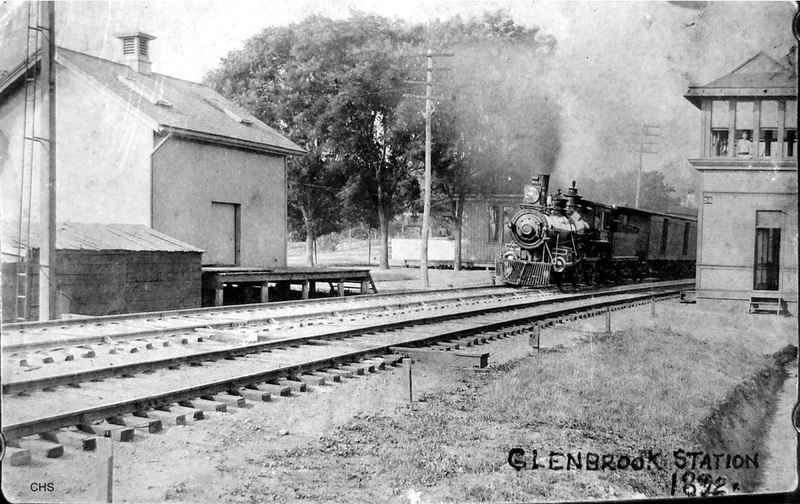 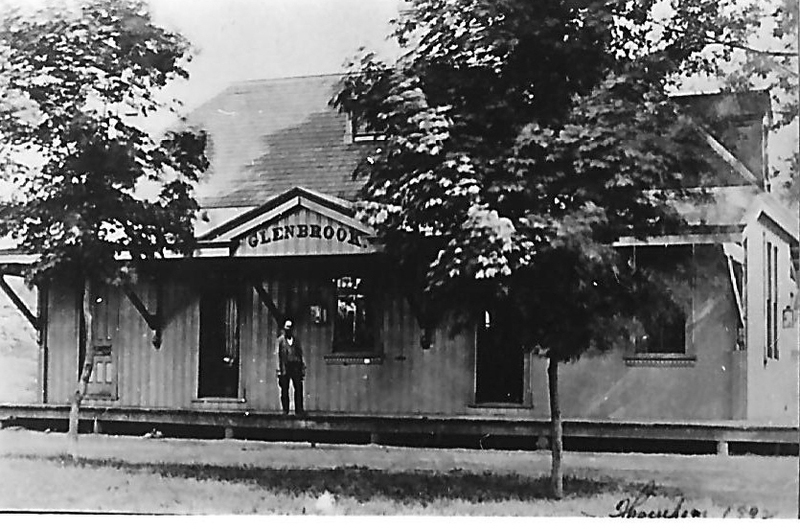 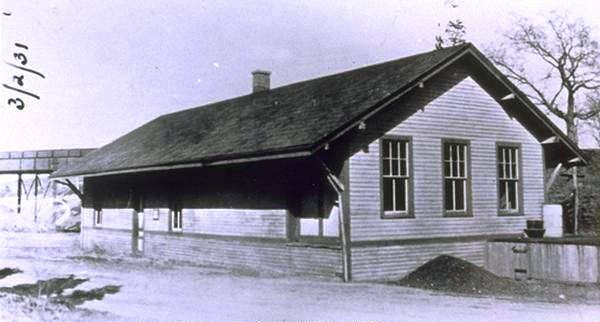 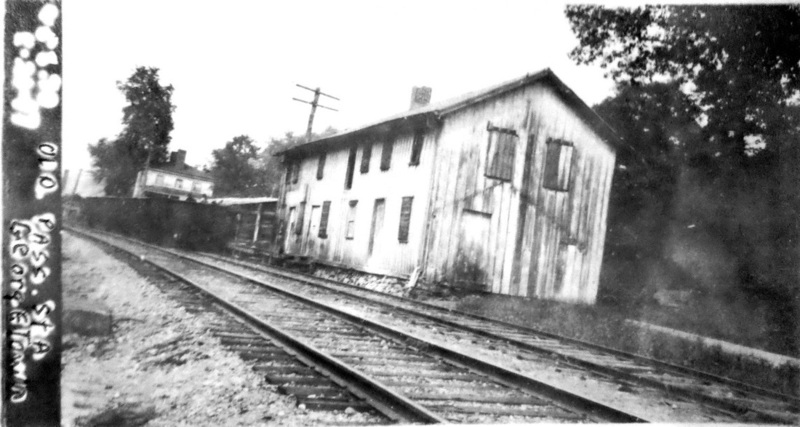 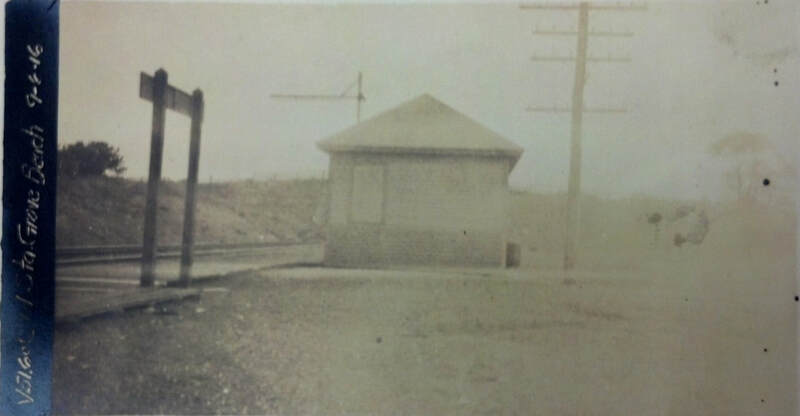 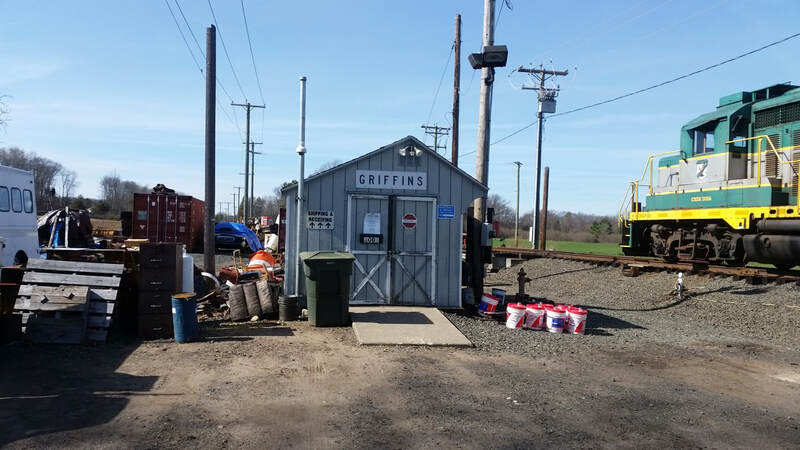 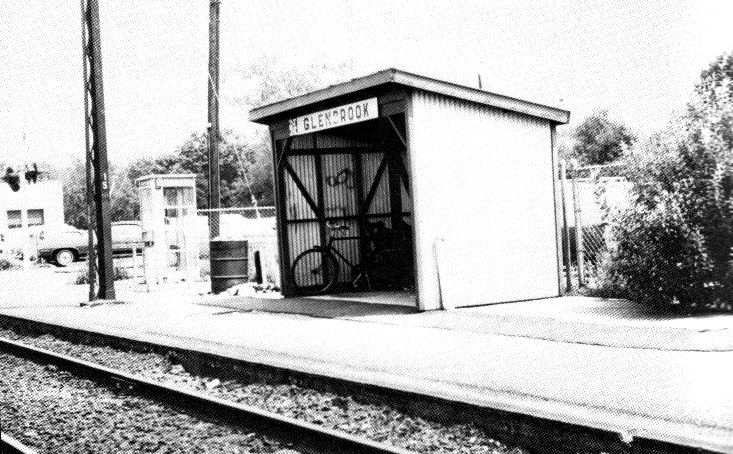 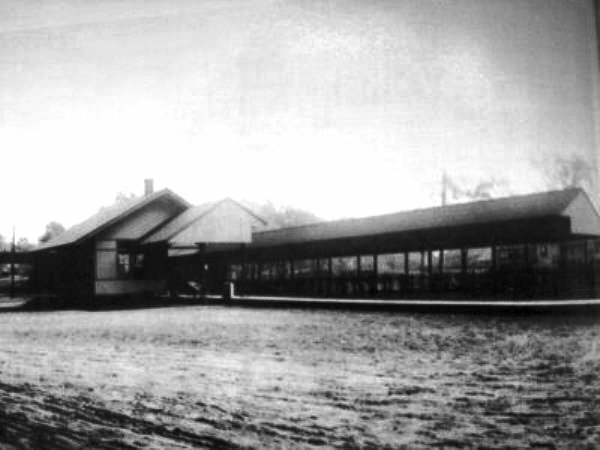 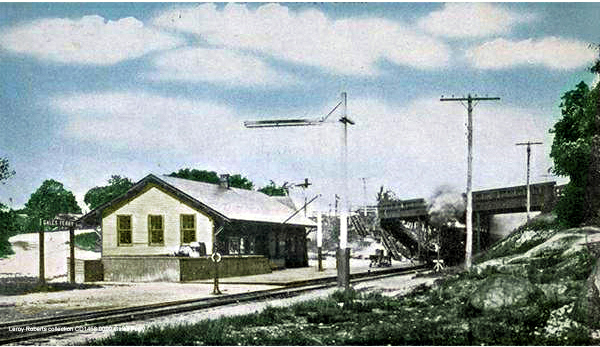 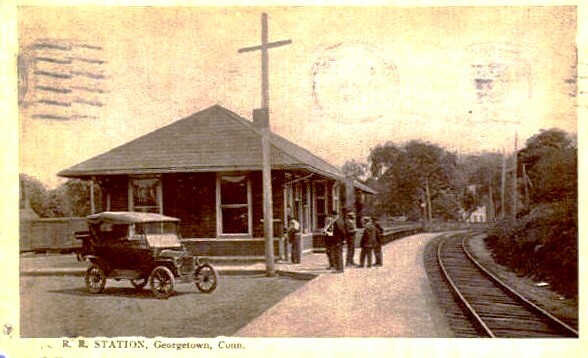 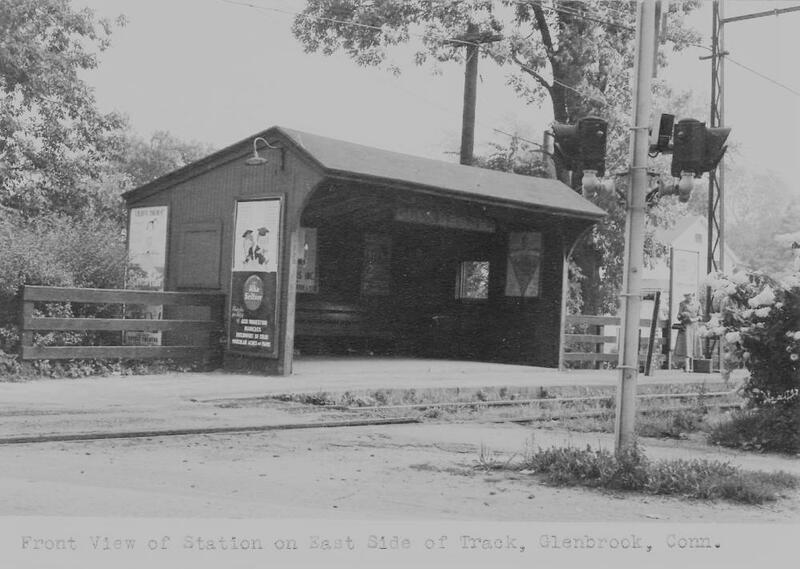 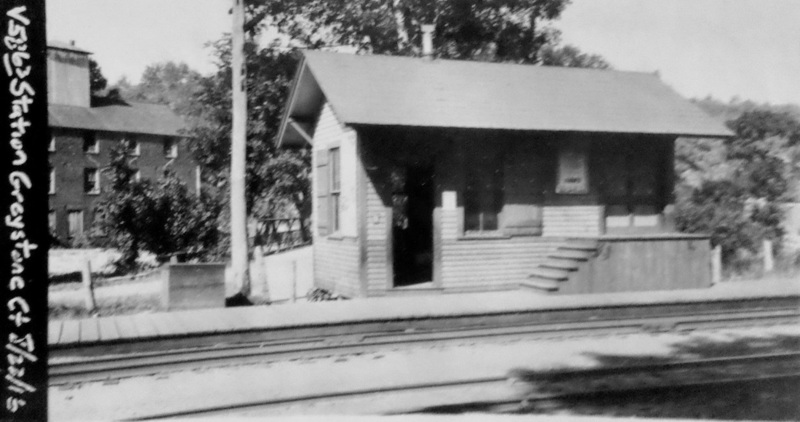 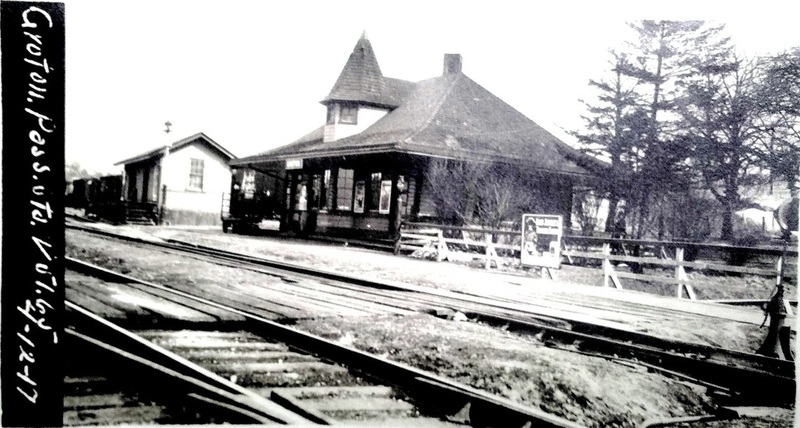 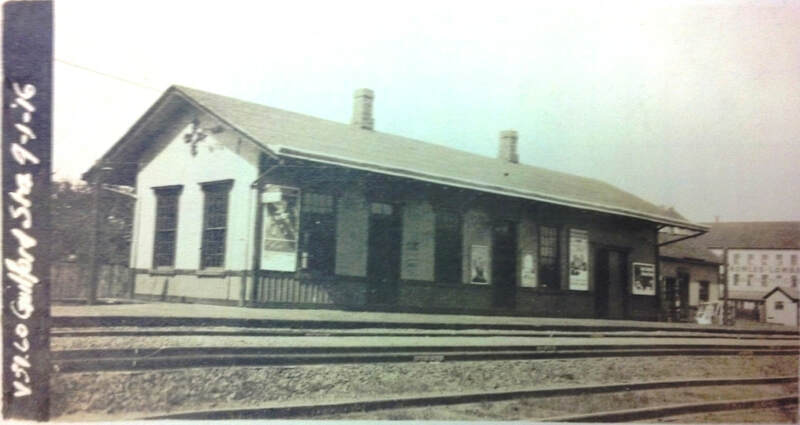 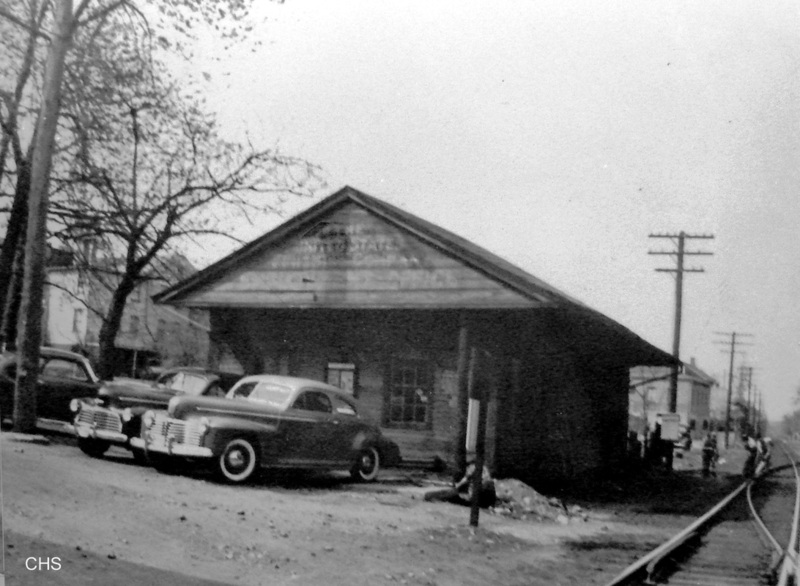 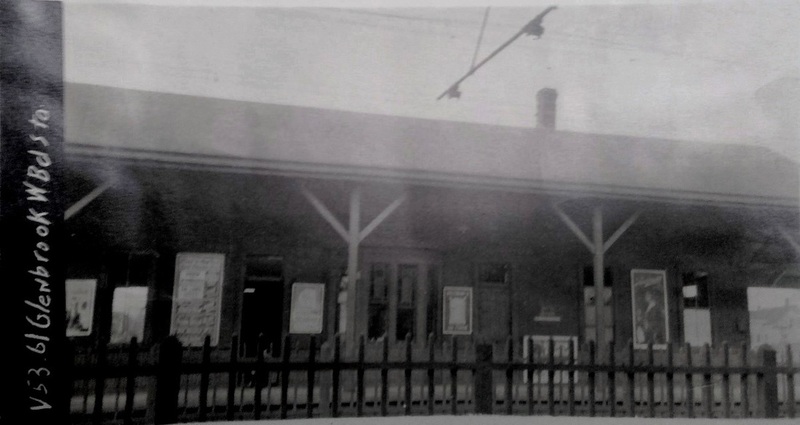 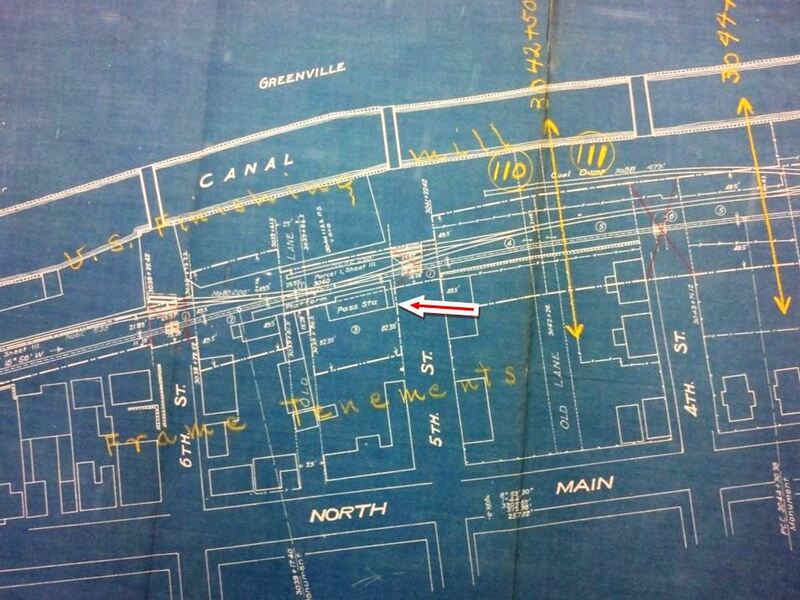 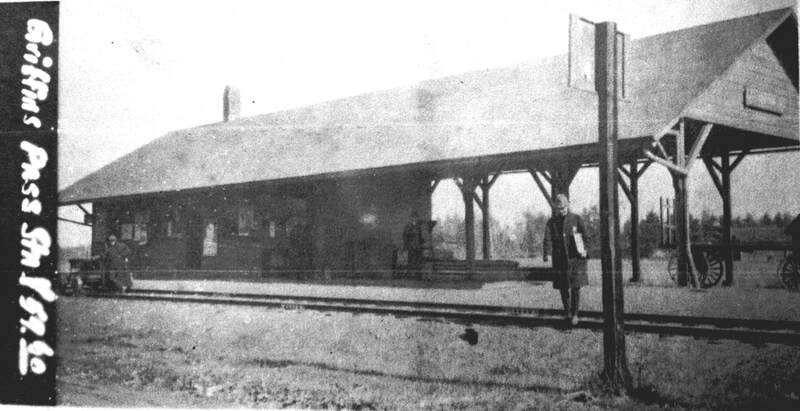 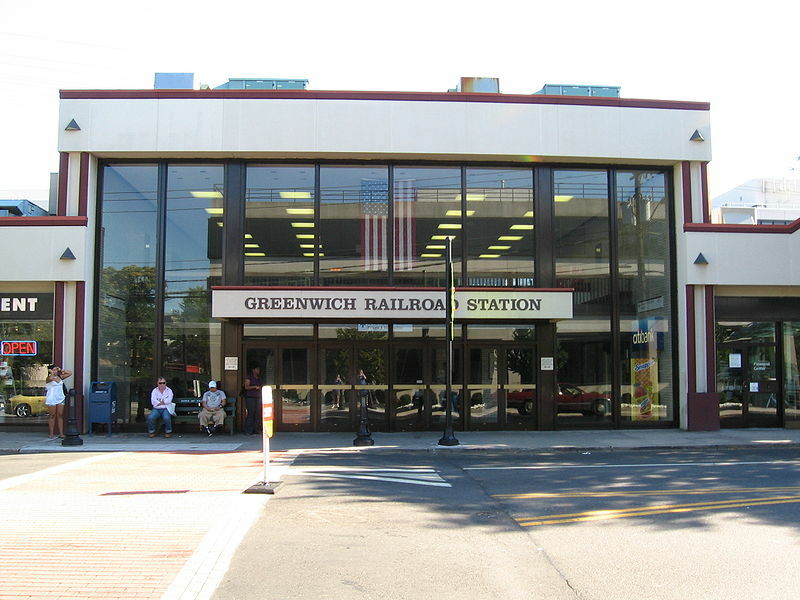 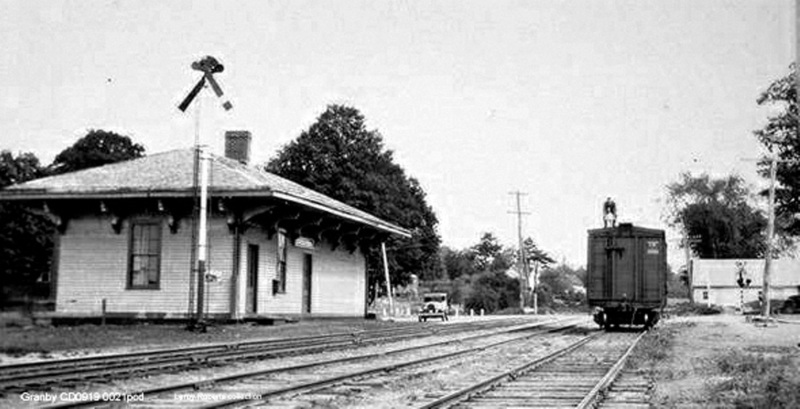 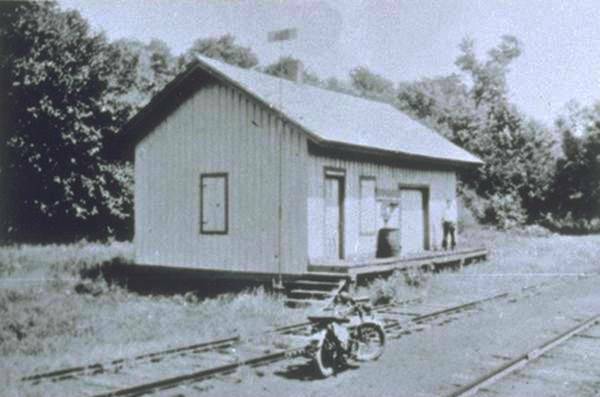 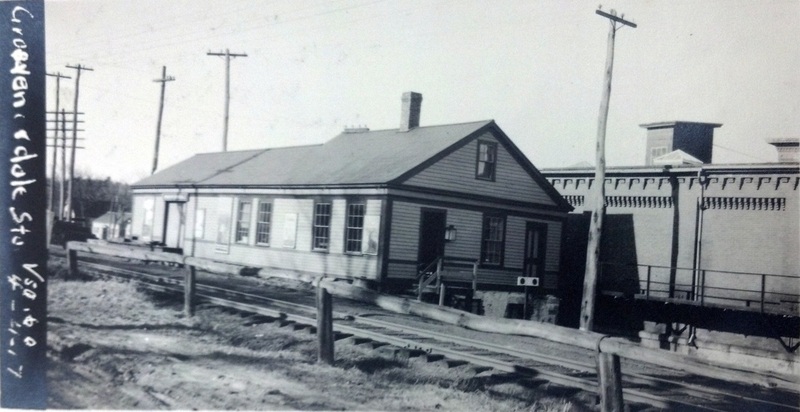 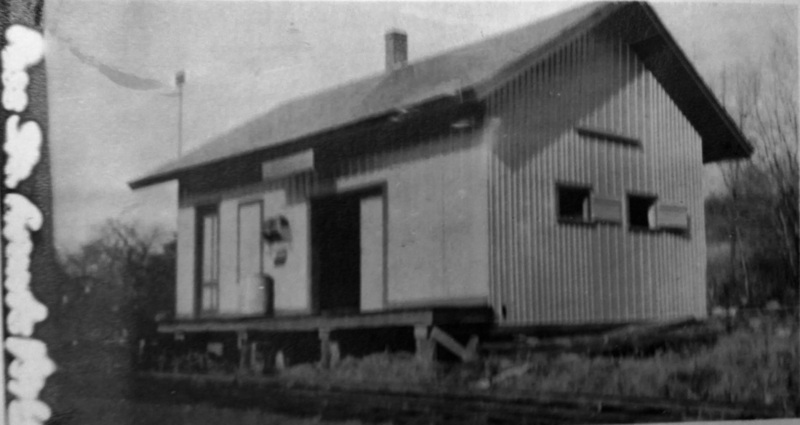 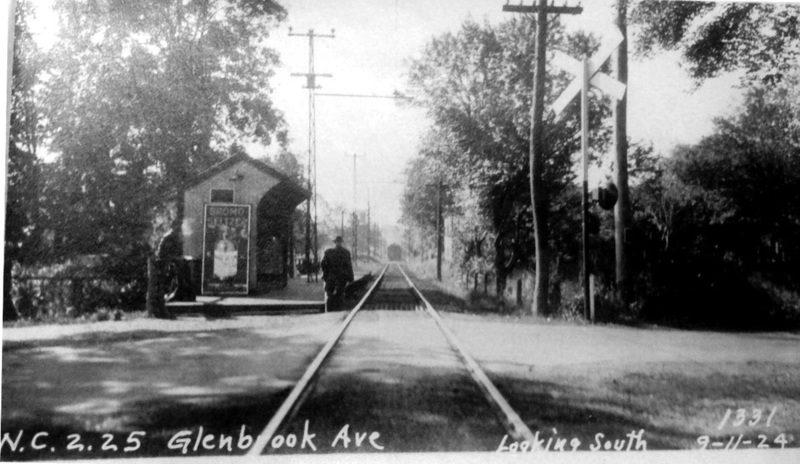 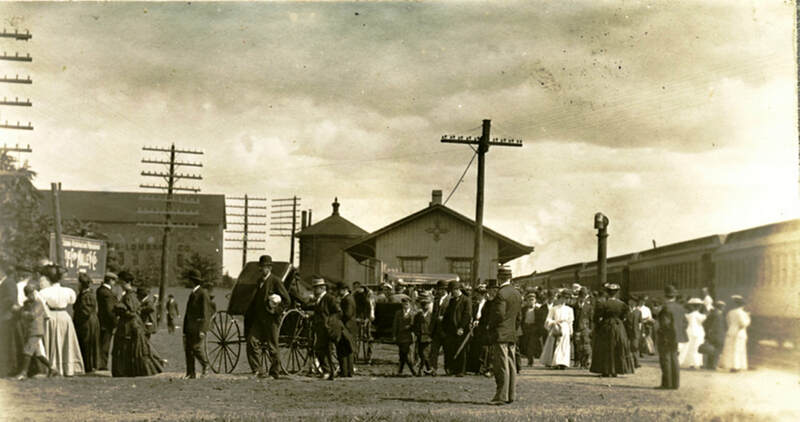 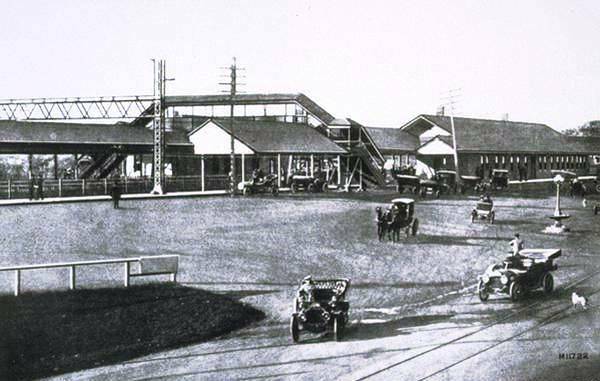 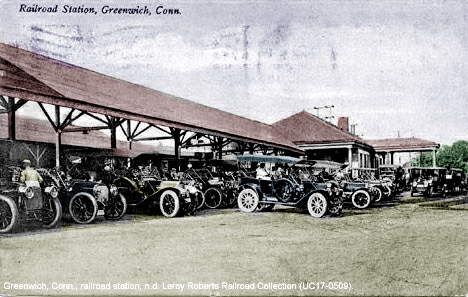 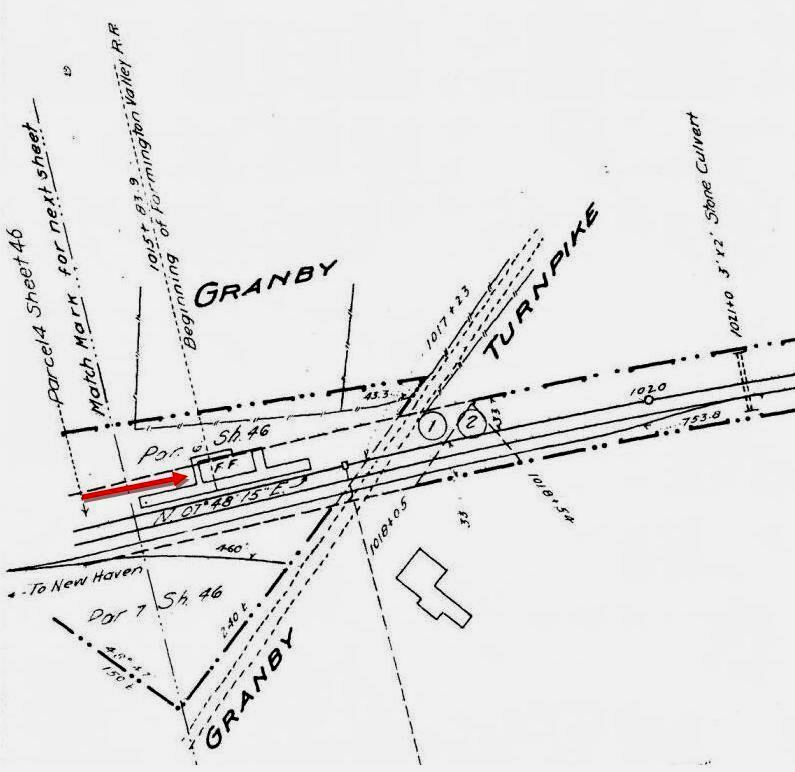 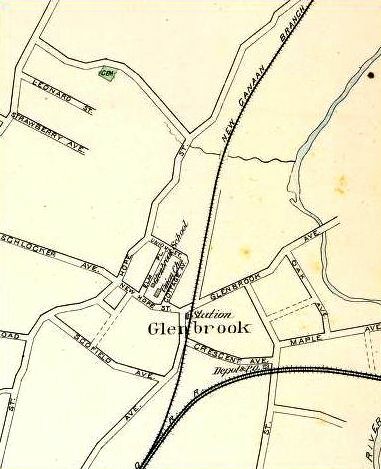 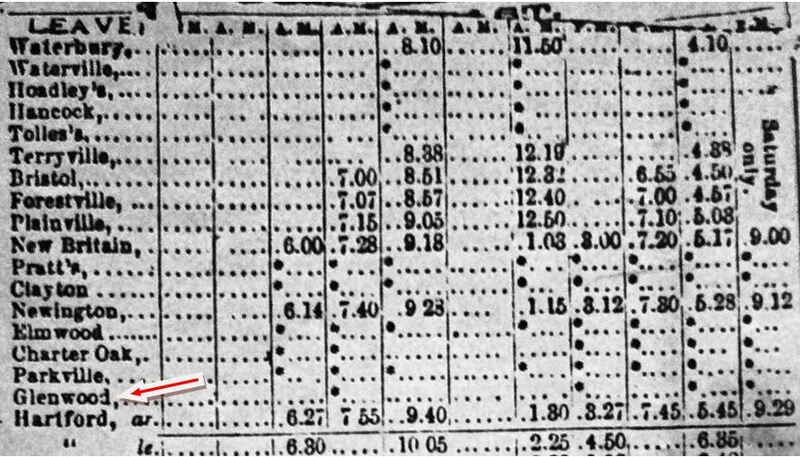 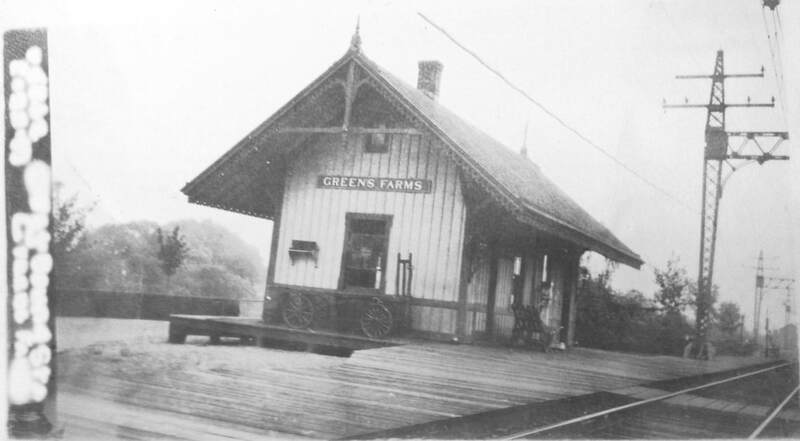 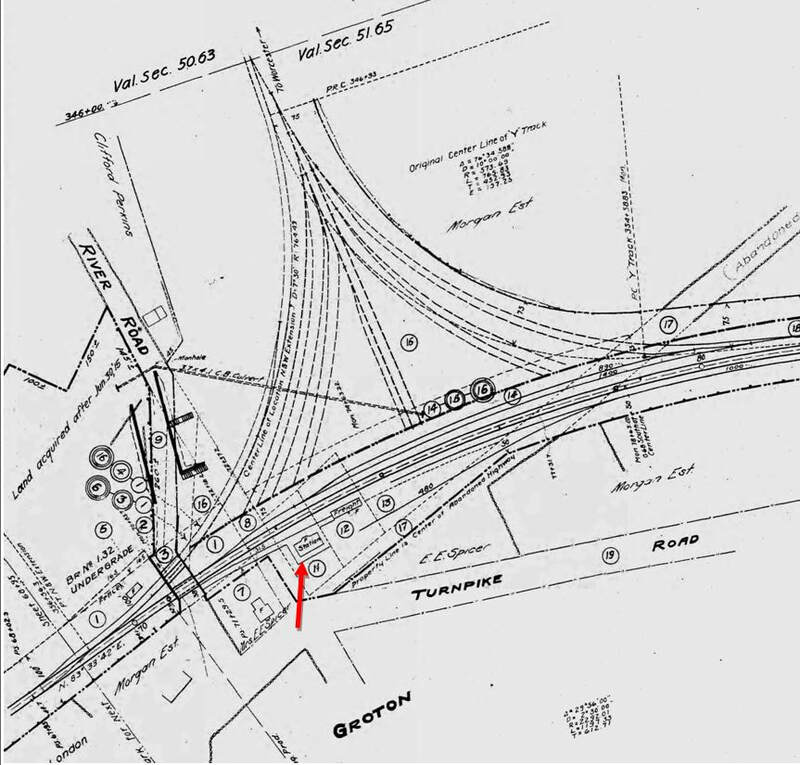 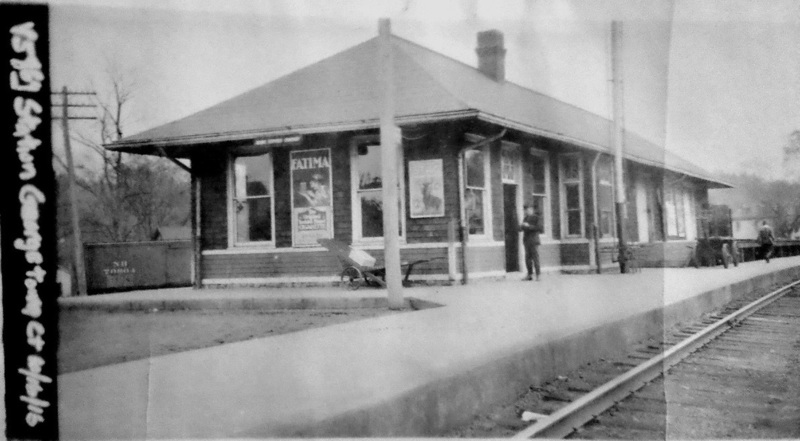 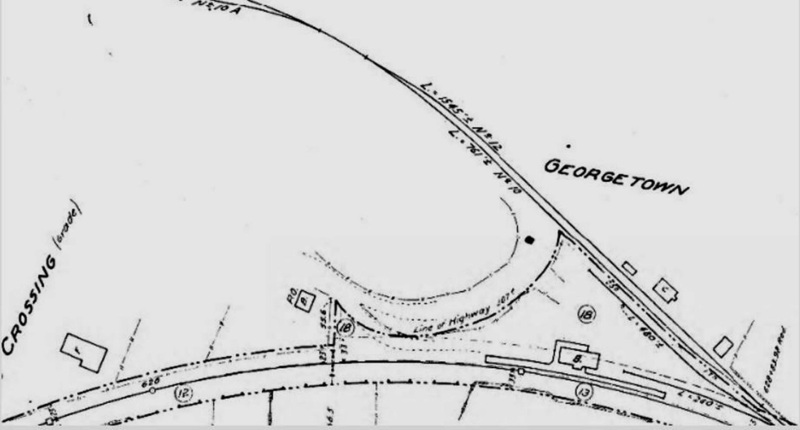 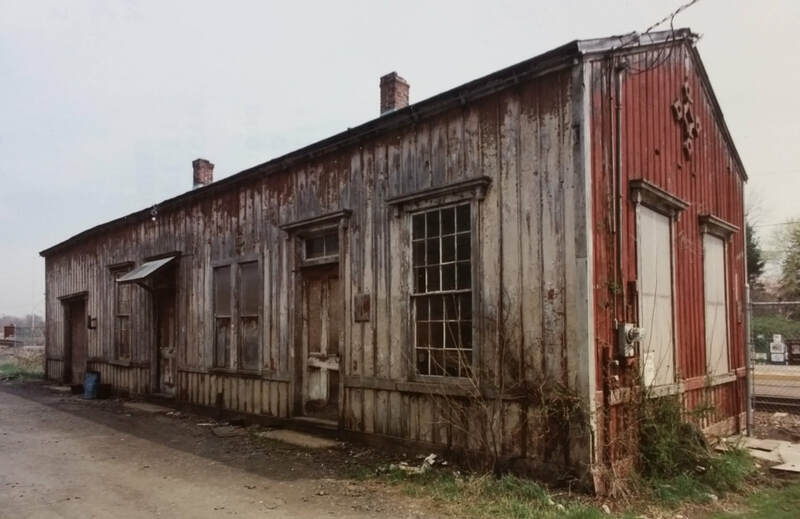 The one on the right dates to July, 1935 and widens the time frame for this depot, which may be GLENBROOK/N1 expanded rearward and fitted up with more comfortable seating. 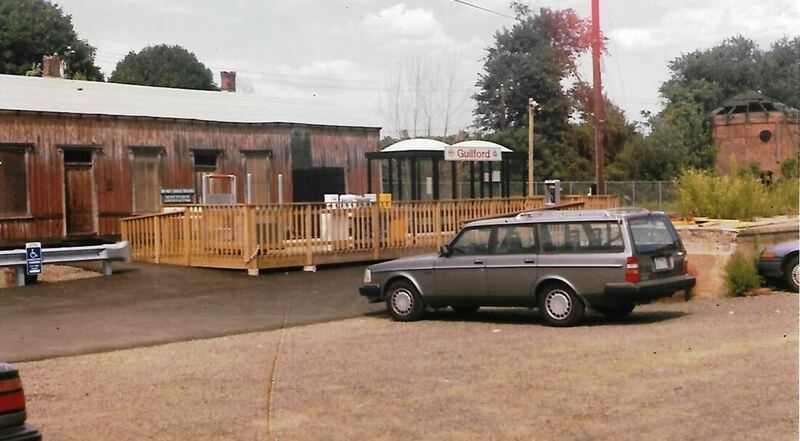 In any case, it seems different enough to give it its own TCS listing. 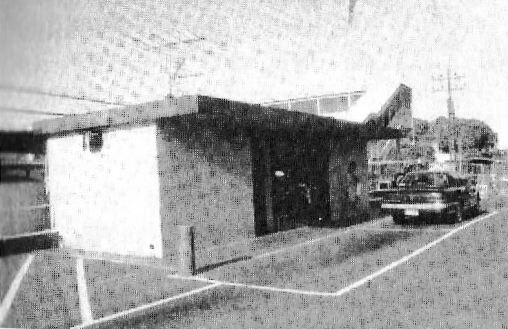 The addition appears to be made of cement blocks, which would verify what Ed Wadhams said for the demise of this structure in late 1967 or early 1968, when "a rather large truck was backing into the driveway behind the building. 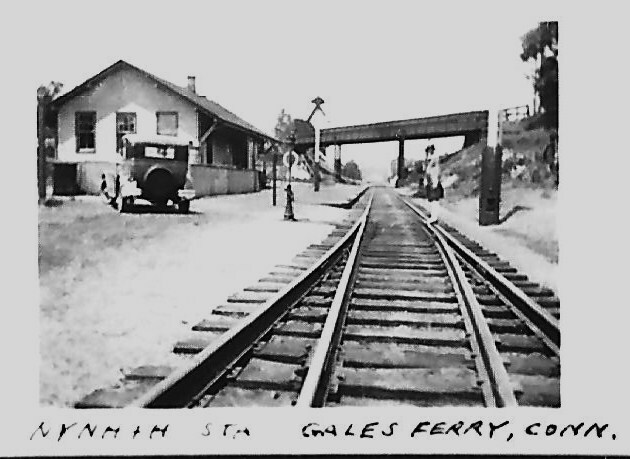 It missed the driveway but it didn't the Branch Line Station. 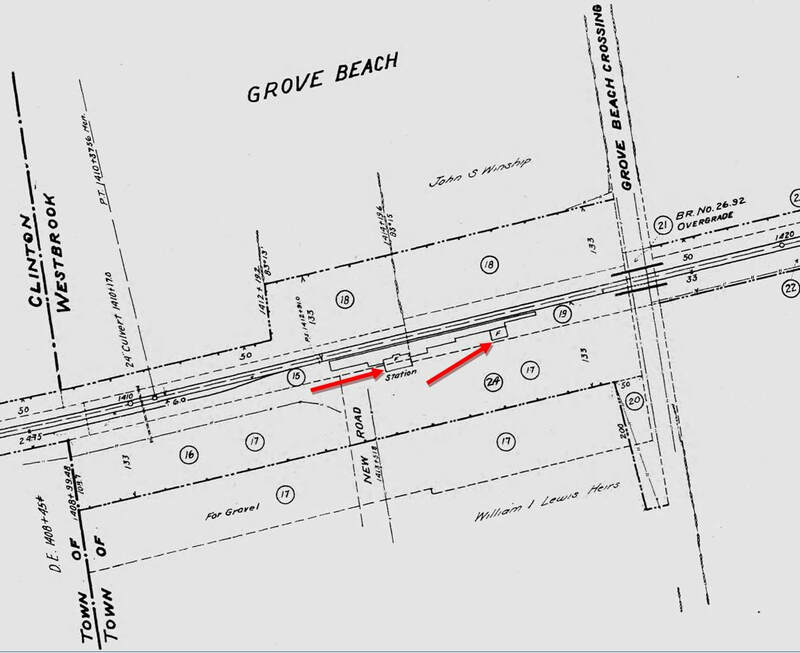 Cement blocks went in all directions."(!) 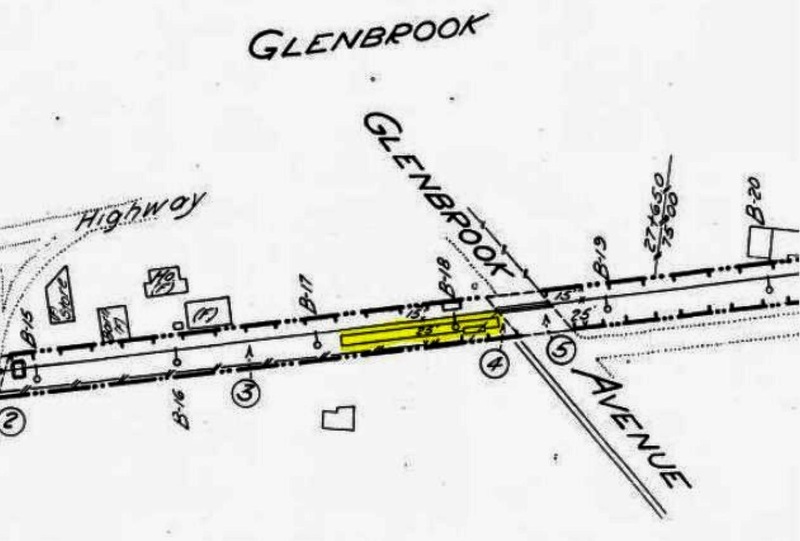 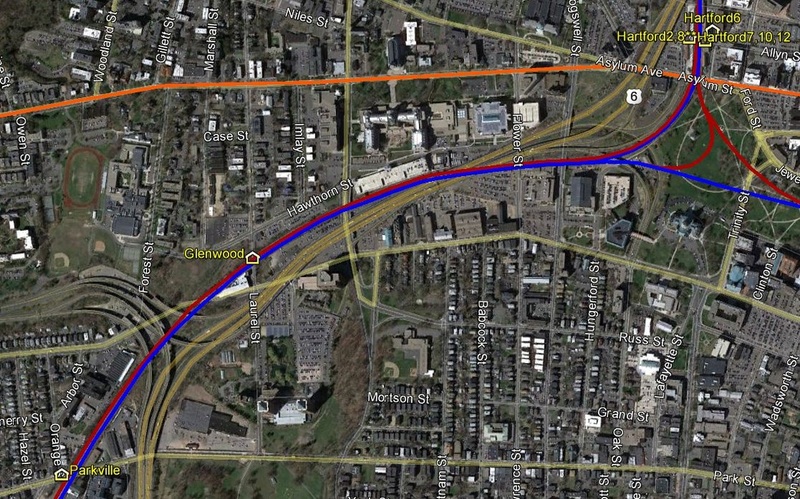 Thus ended, it was replaced by GLENBROOK/N3. 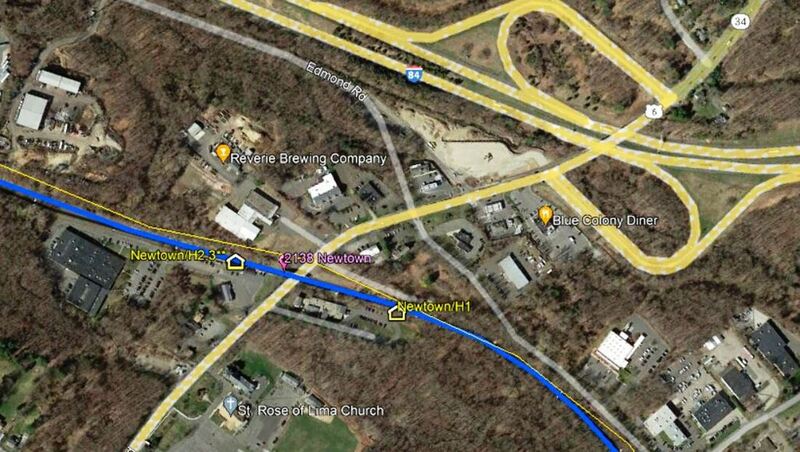 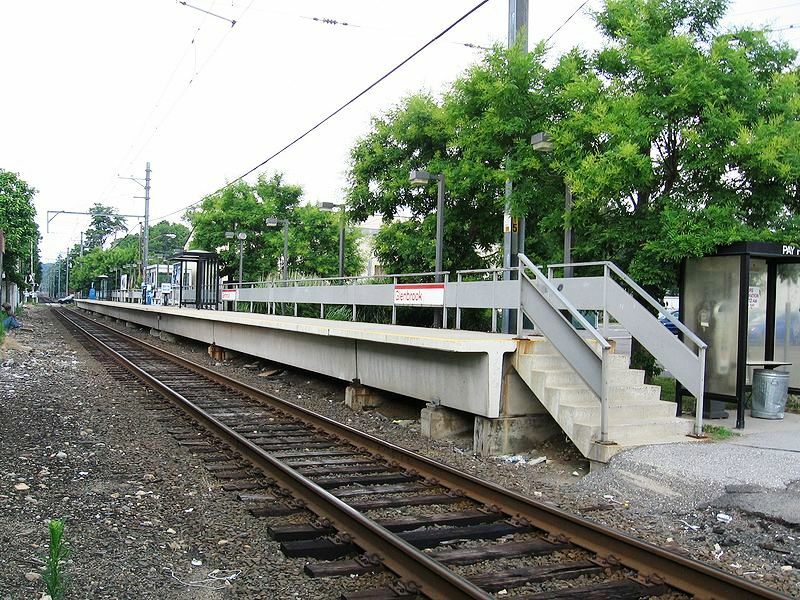 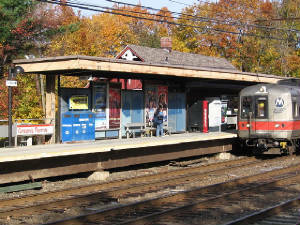 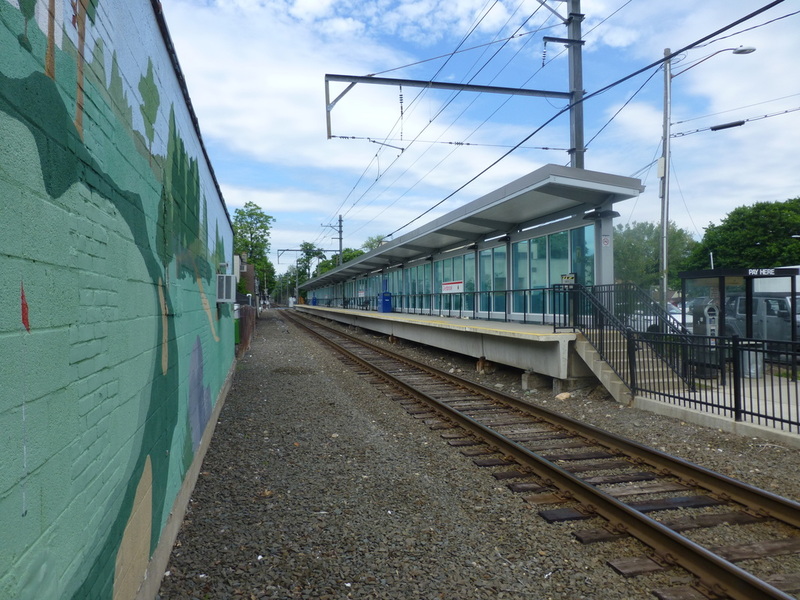 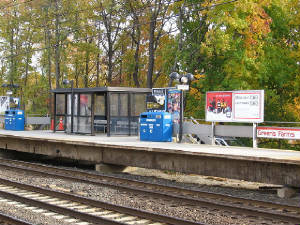 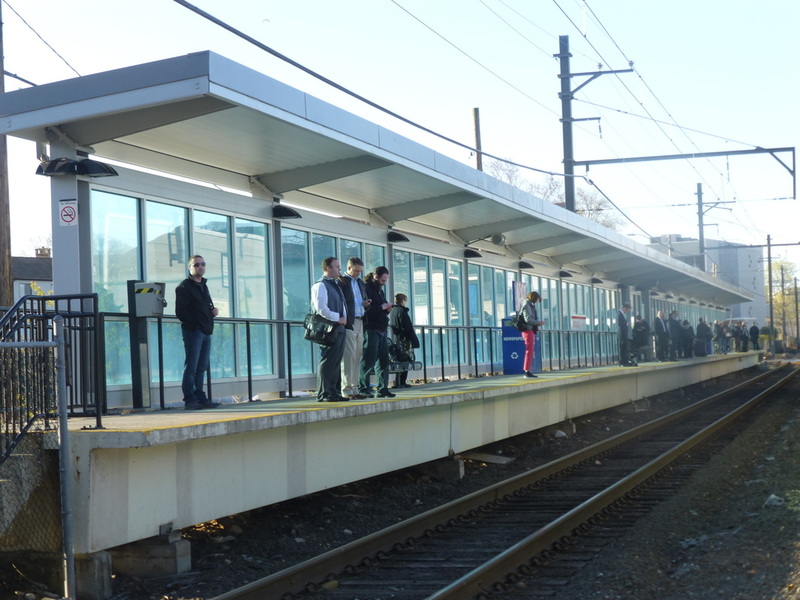 This small shelter serves the eastbound Metro North passenger today. 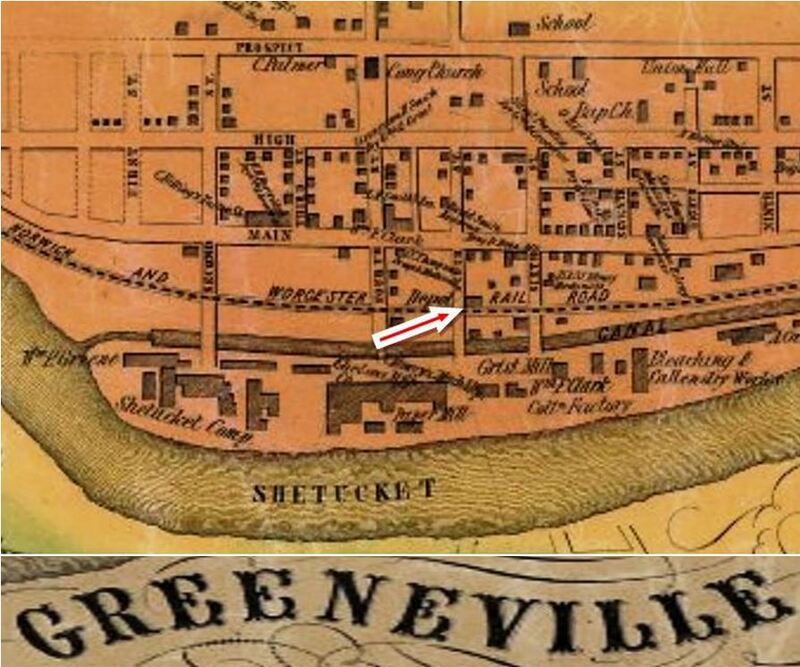 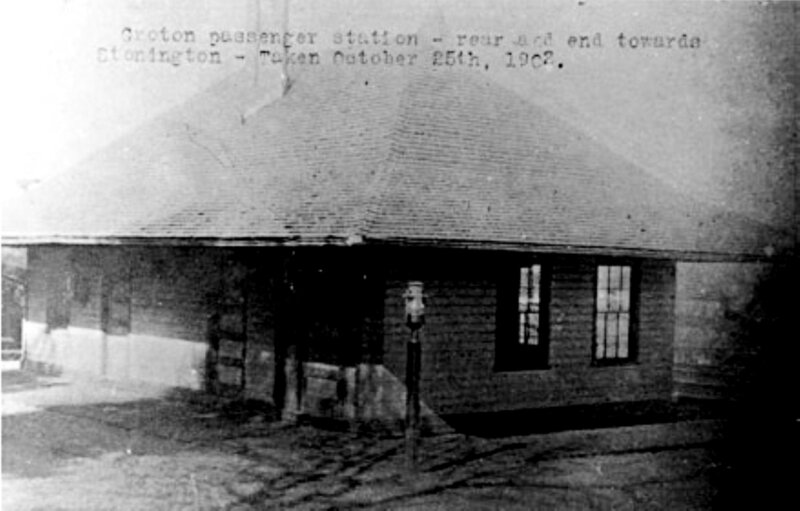 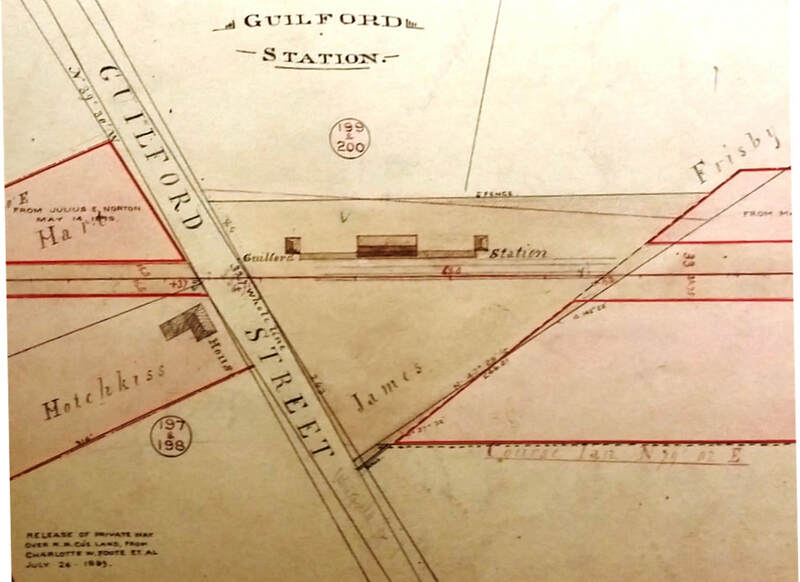 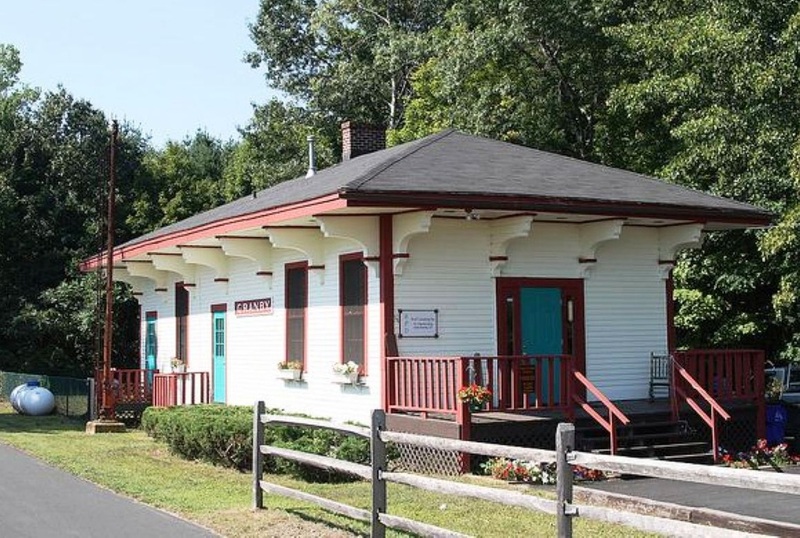 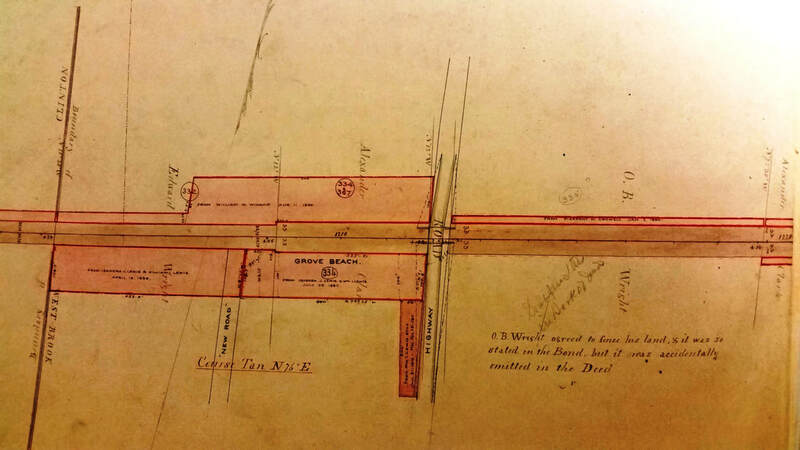 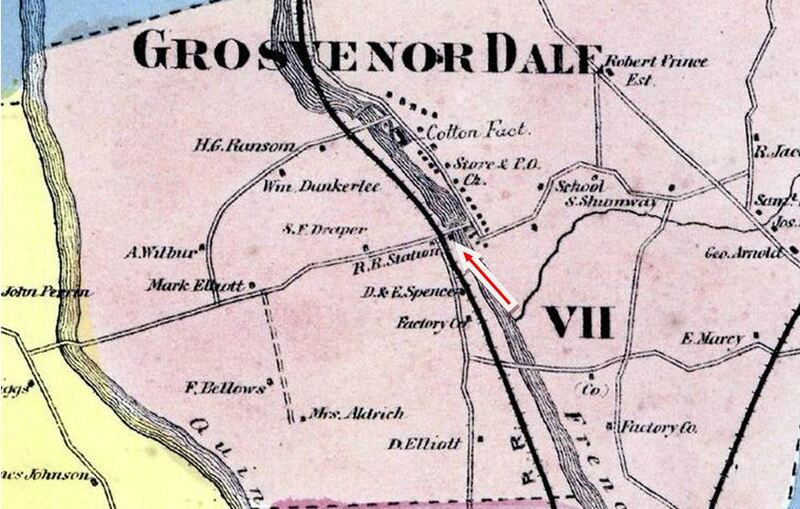 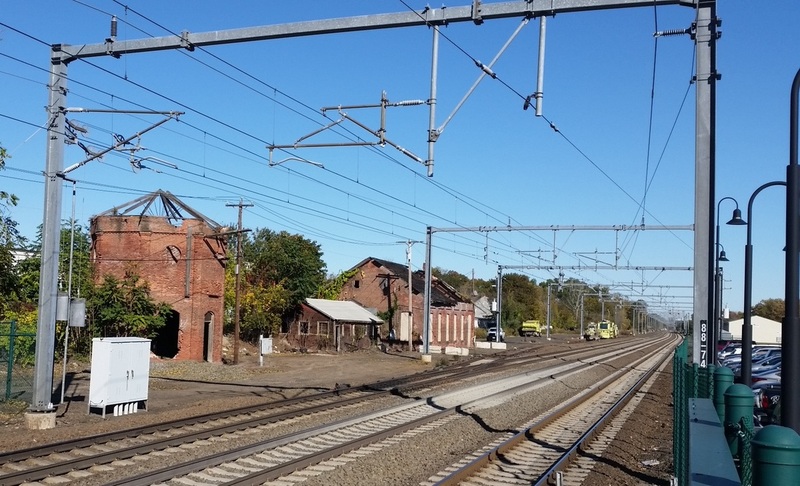 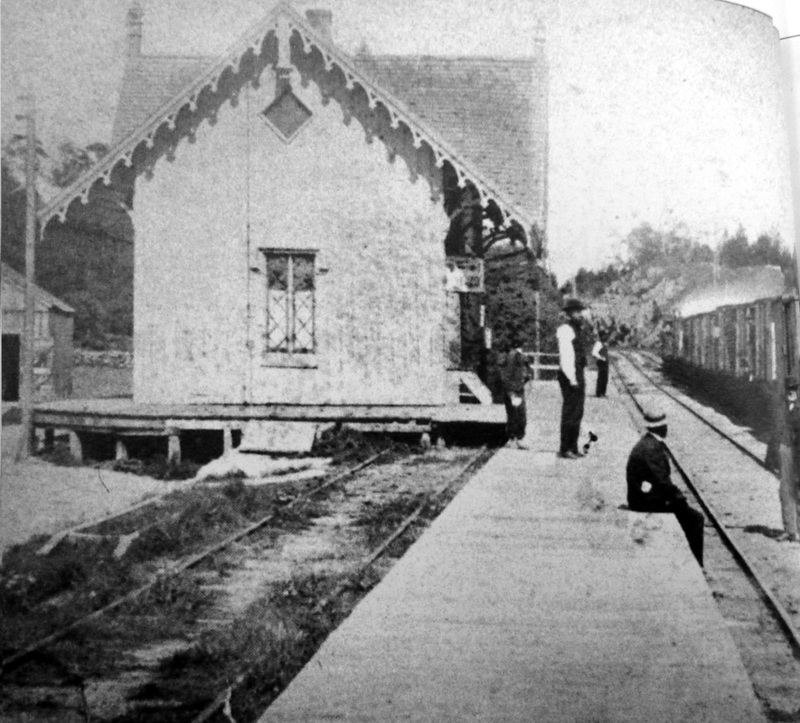 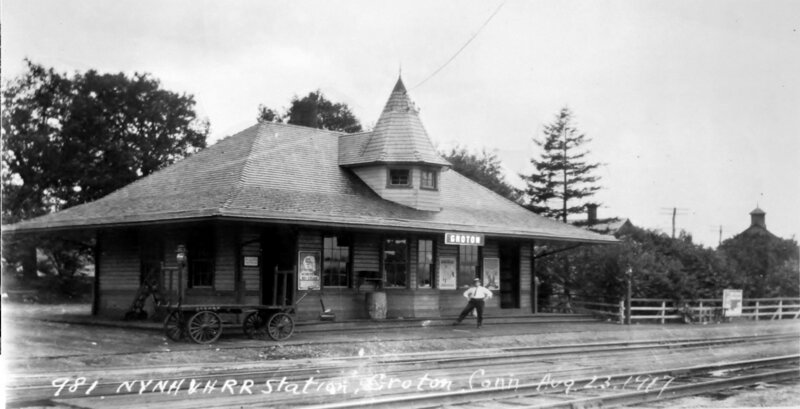 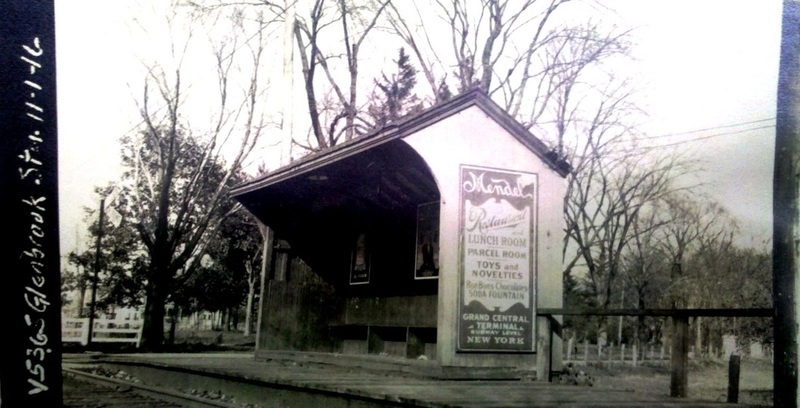 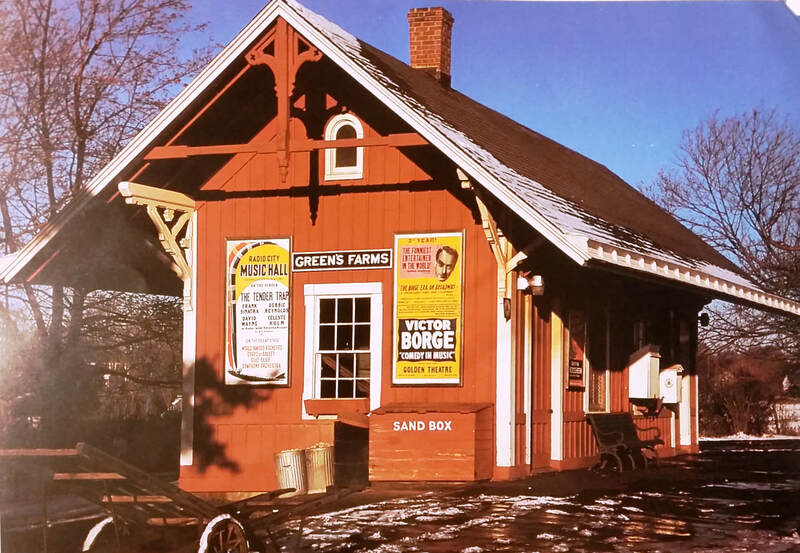 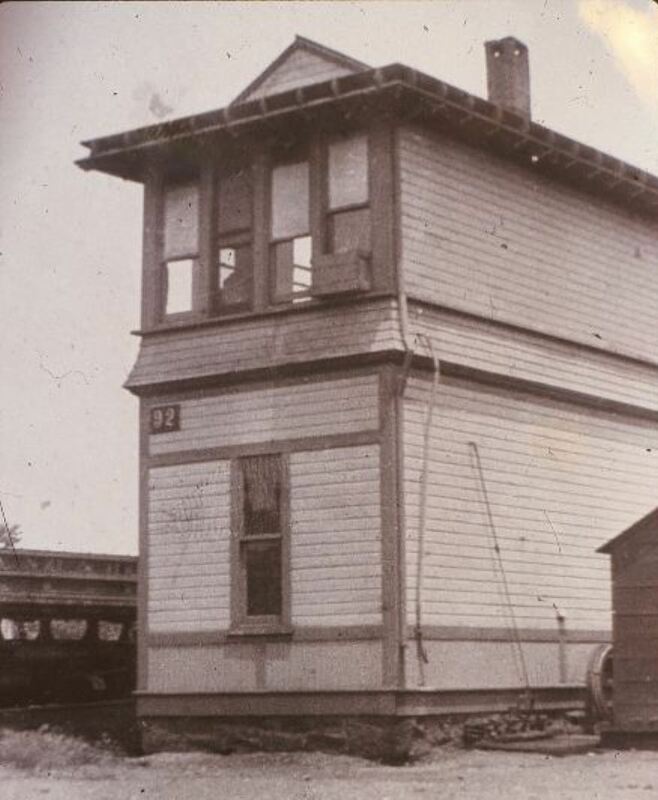 Though we have found no documentary evidence, all the images we have for the 1848 original NY&NH stations consistently show this Gothic, cross-gable style. 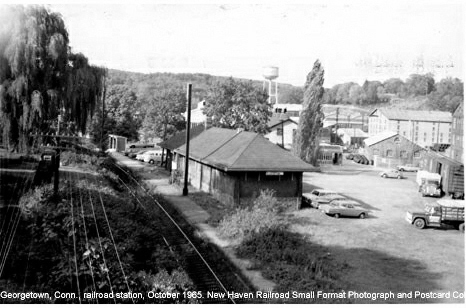 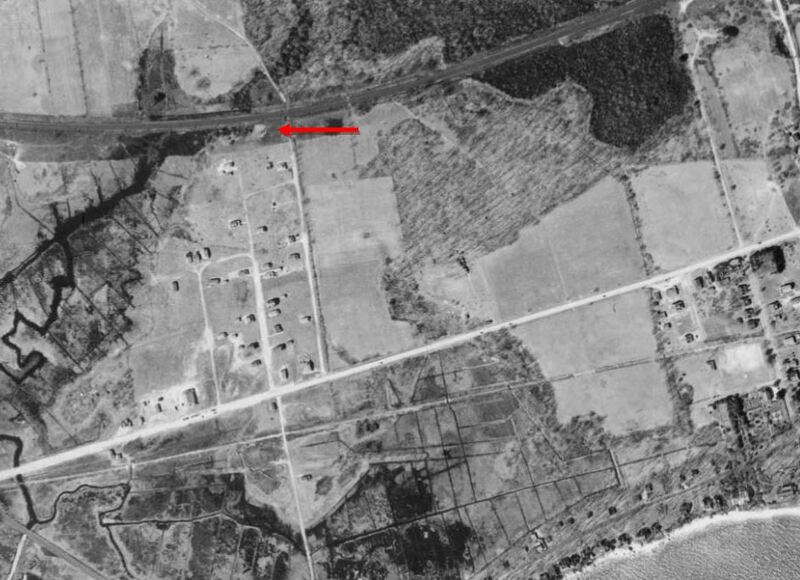 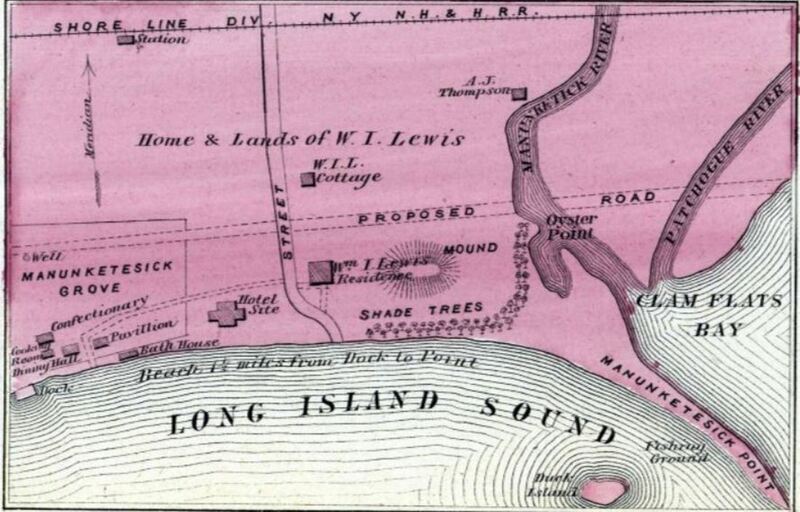 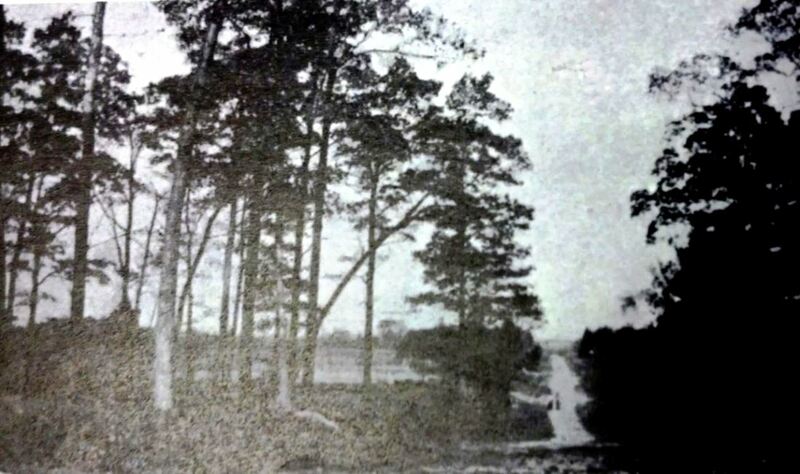 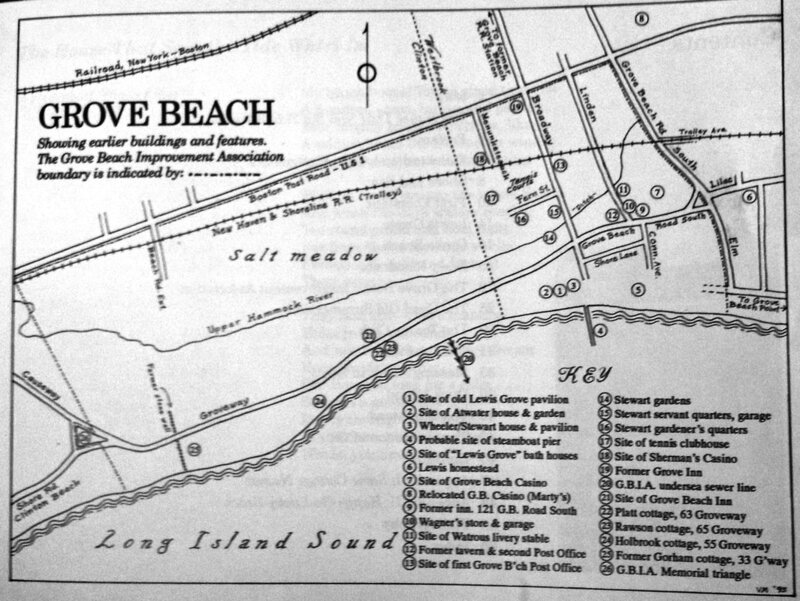 The image on the right appeared in Connecticut Circle magazine in September of 1946 [p12]. 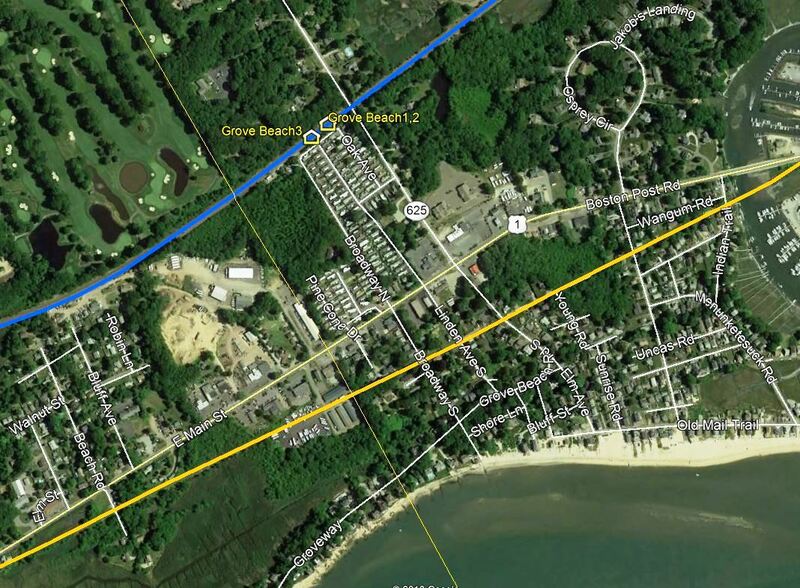 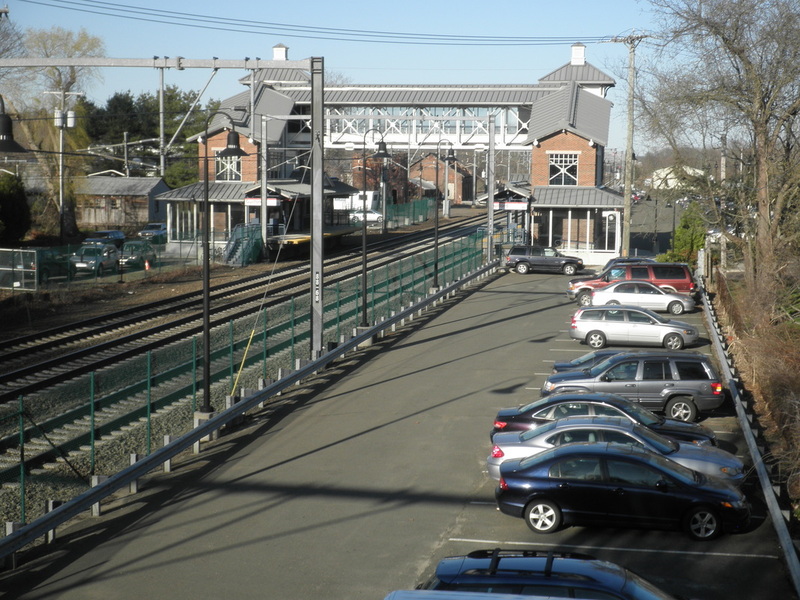 See the virtually identical design at NORWALK1, SOUTHPORT1, STRATFORD1, and WEST HAVEN1. 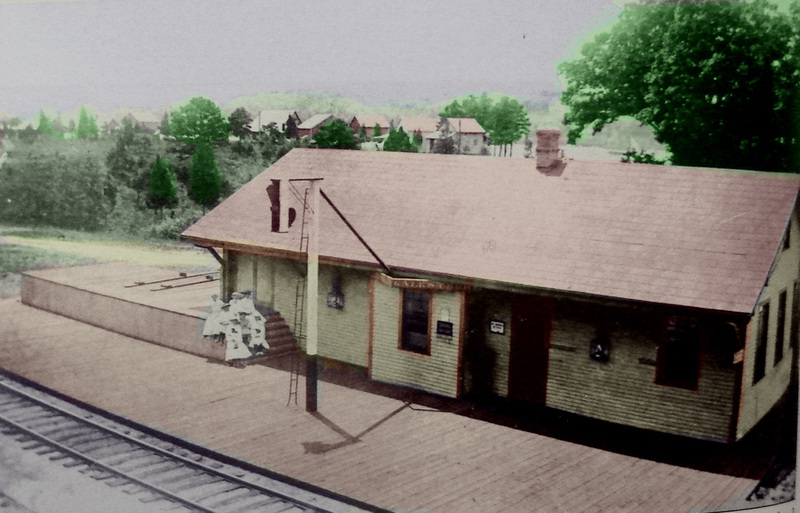 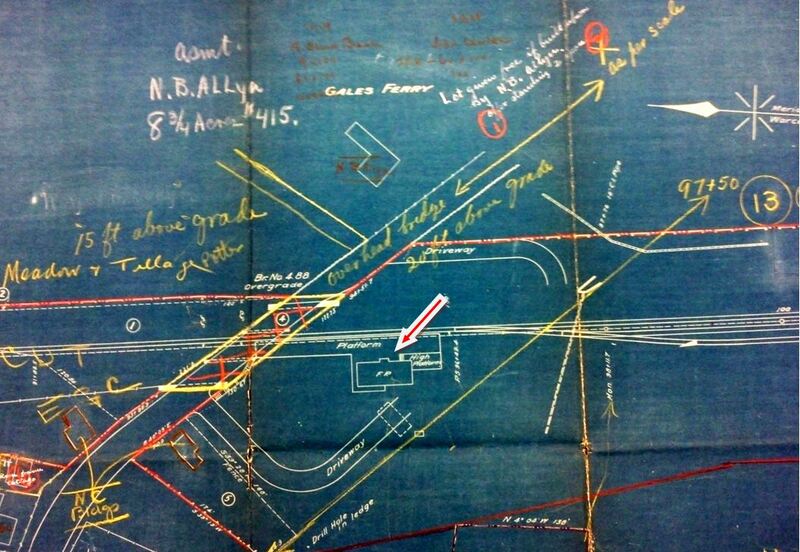 With this evidence, we think it likely that the stations for which we do not have photos yet all shared this classic American depot style. 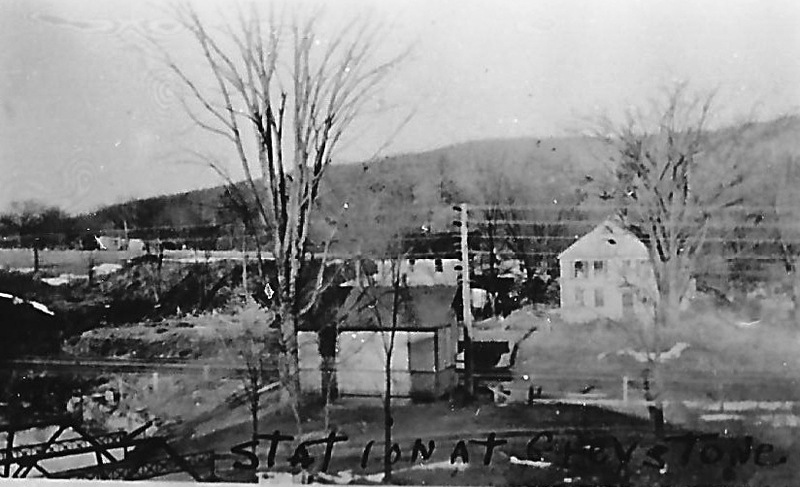 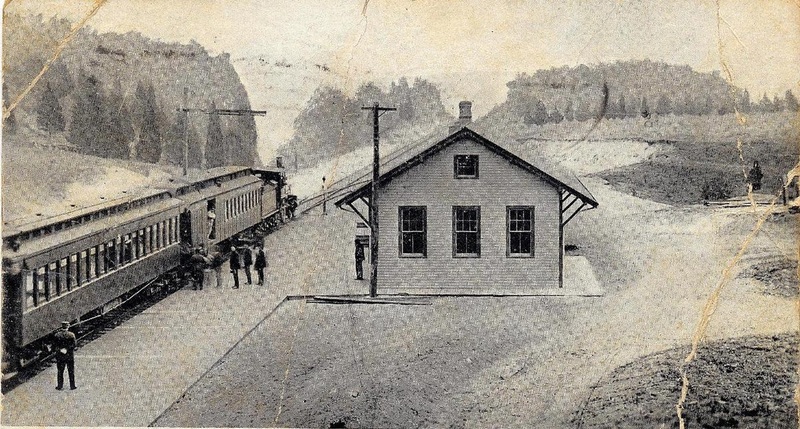 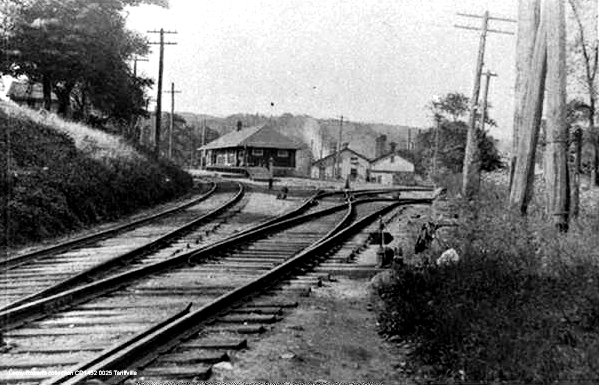 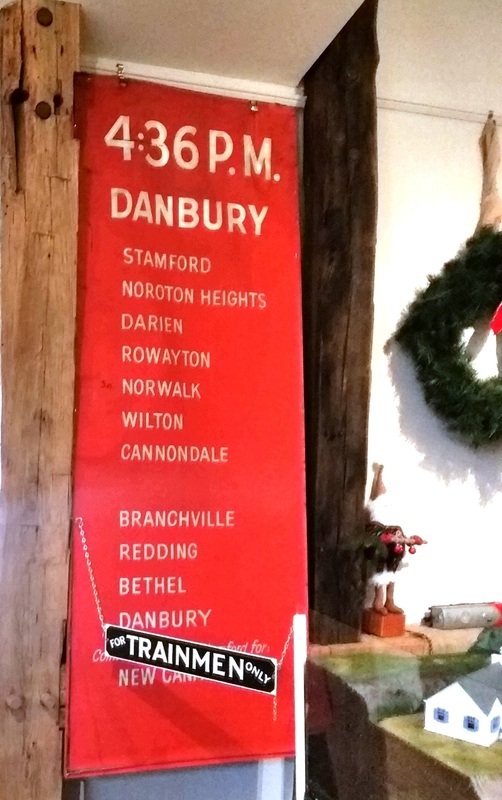 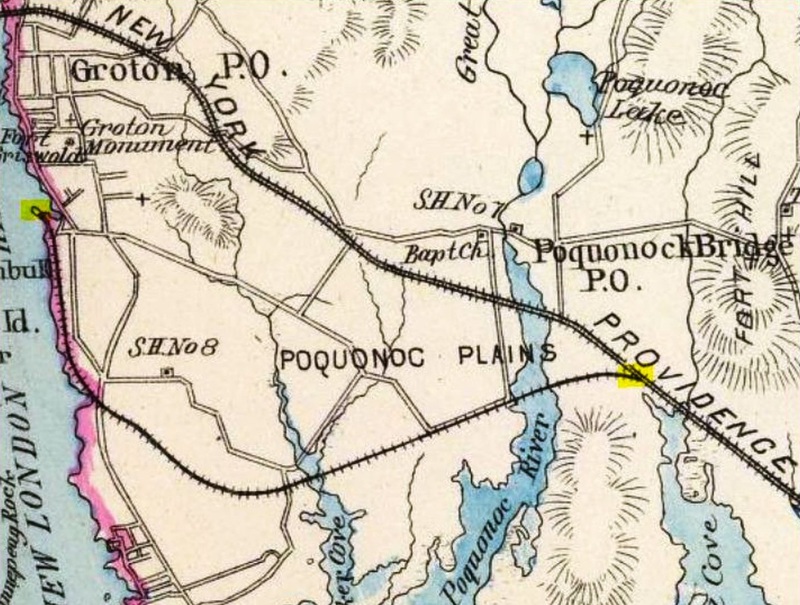 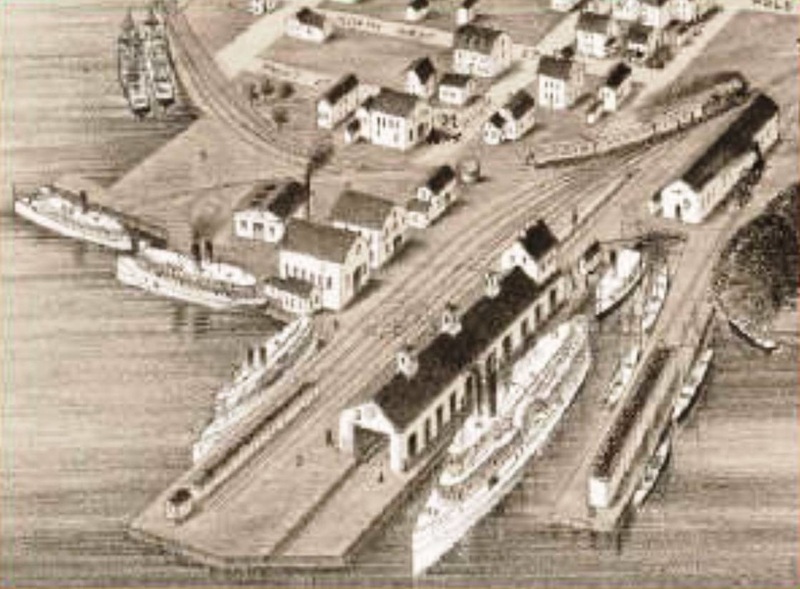 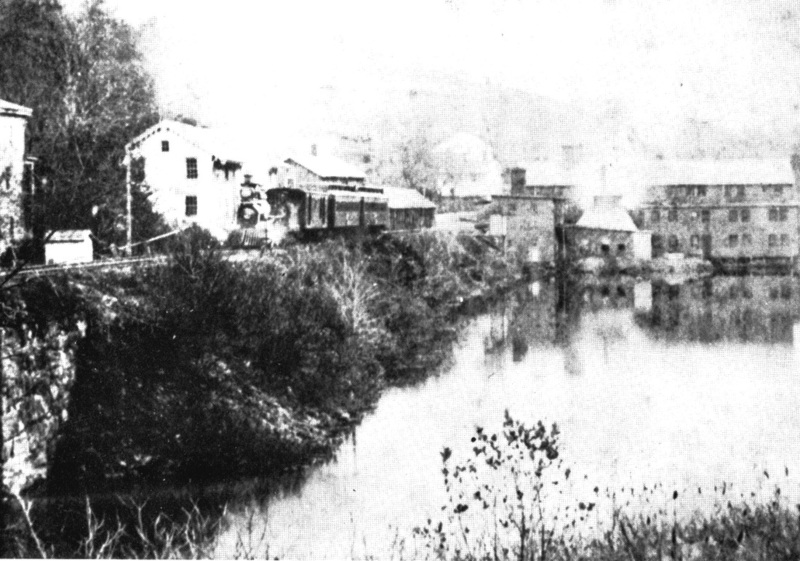 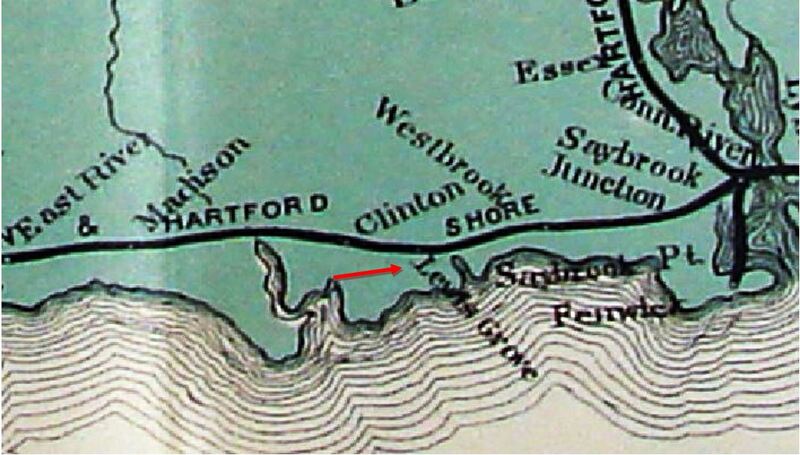 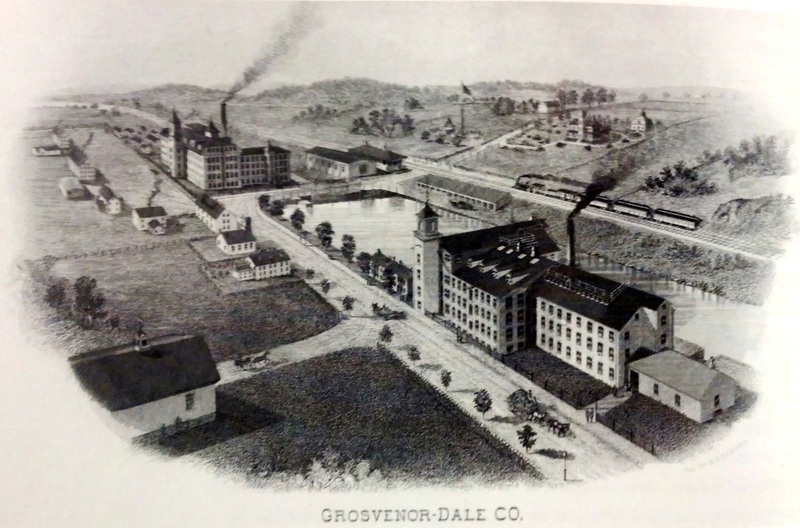 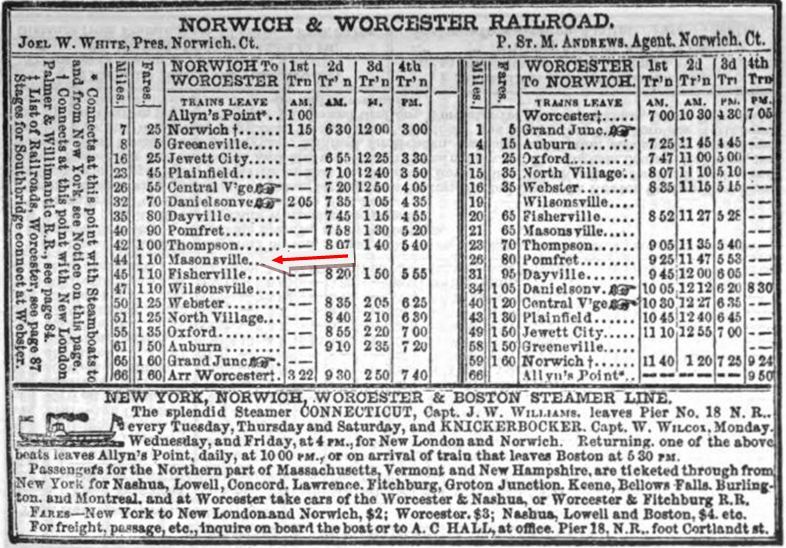 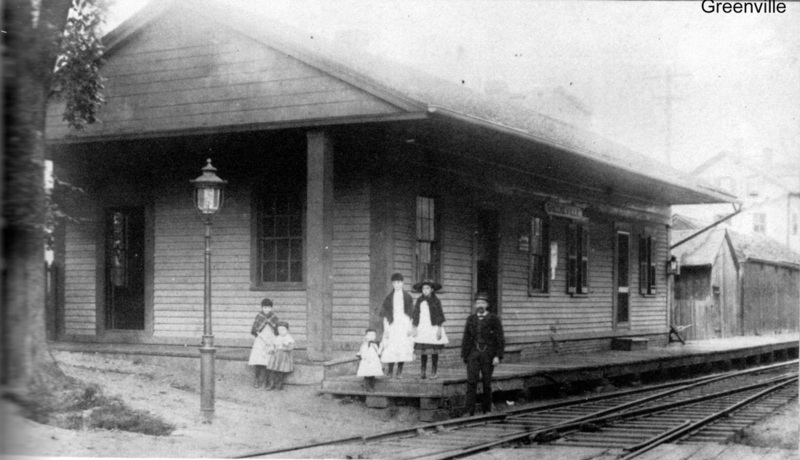 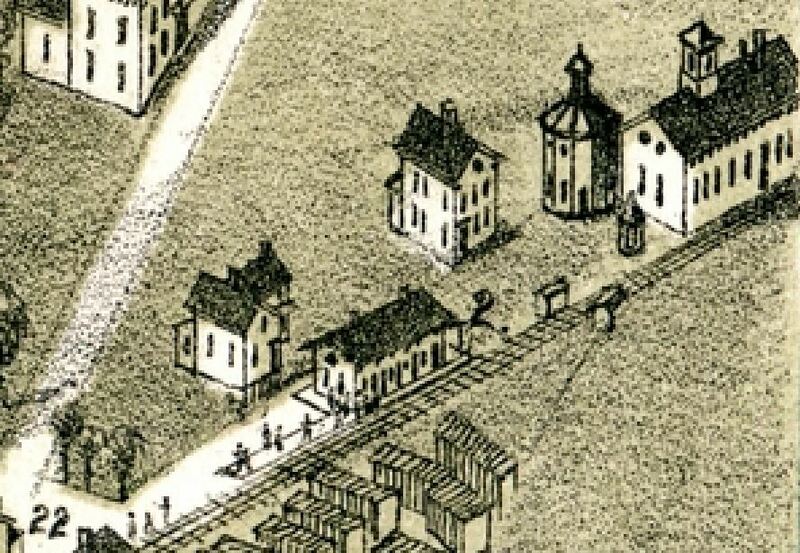 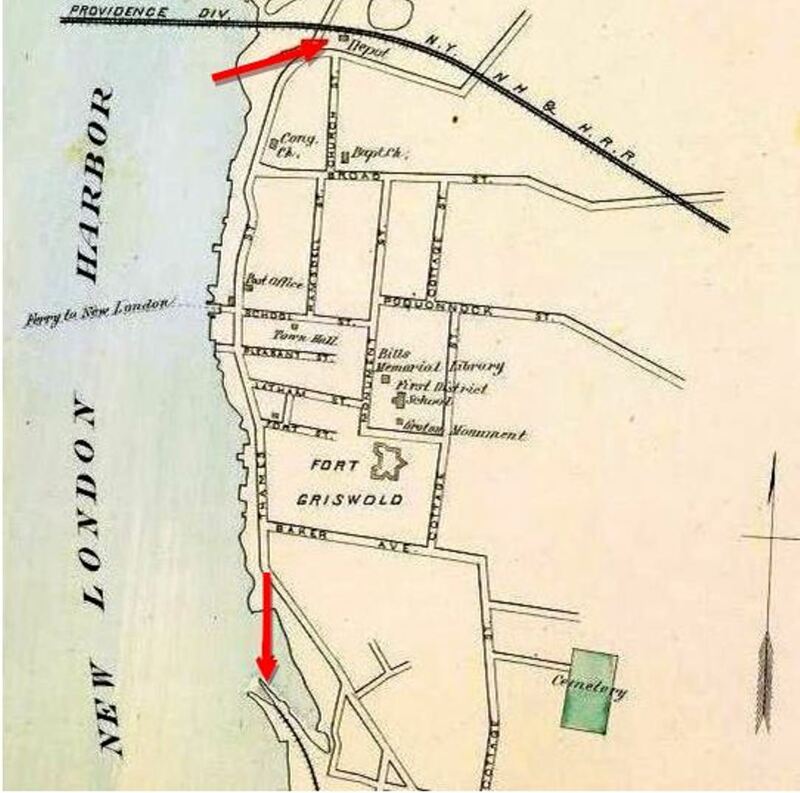 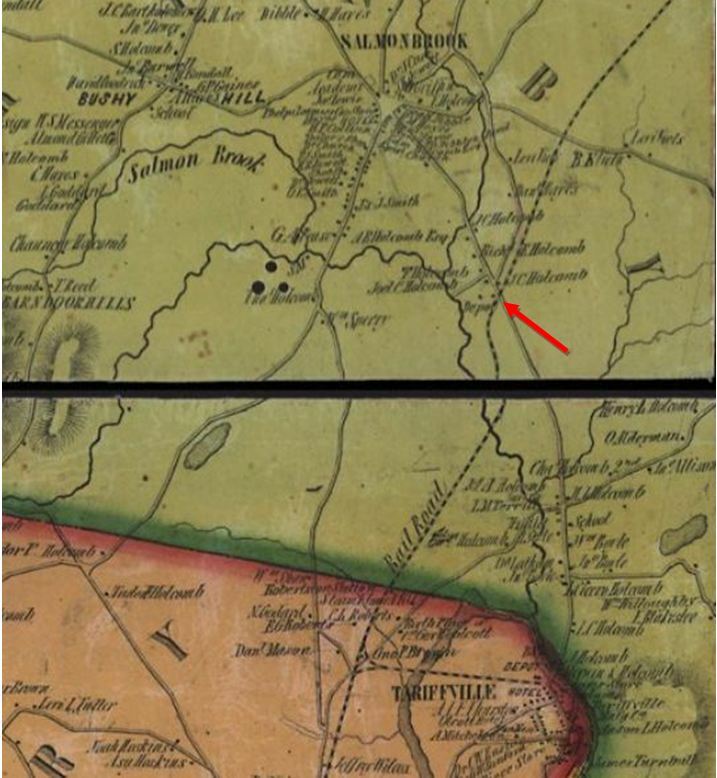 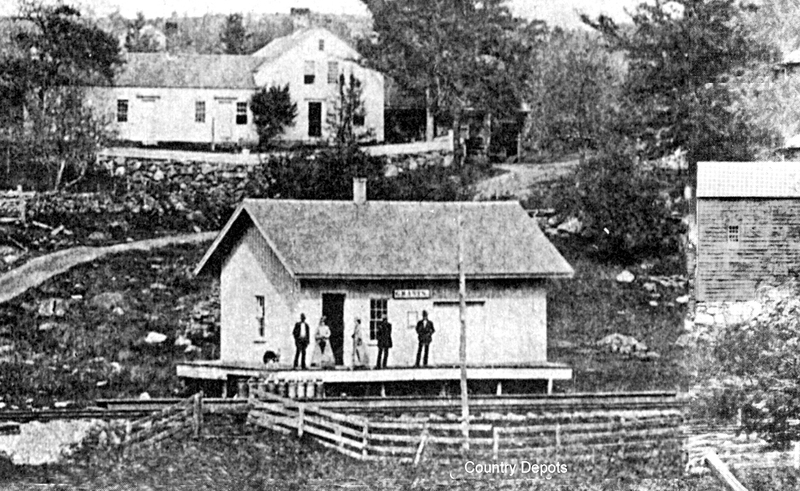 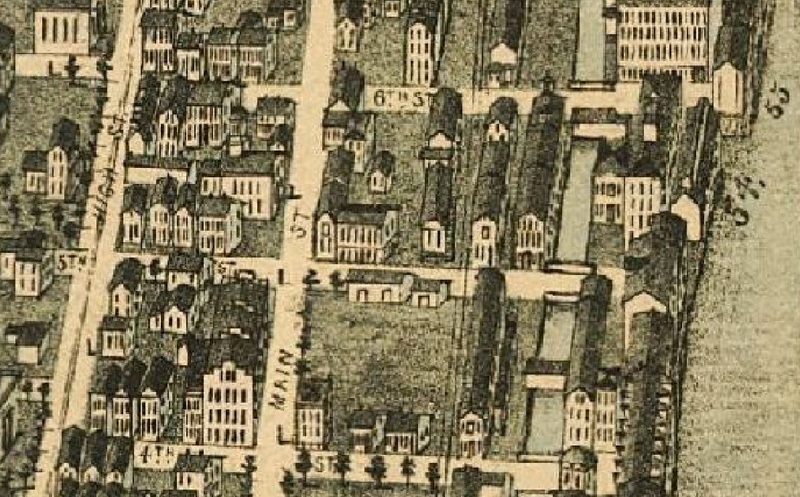 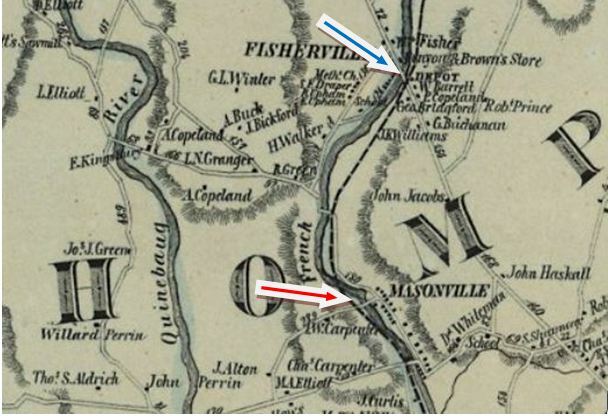 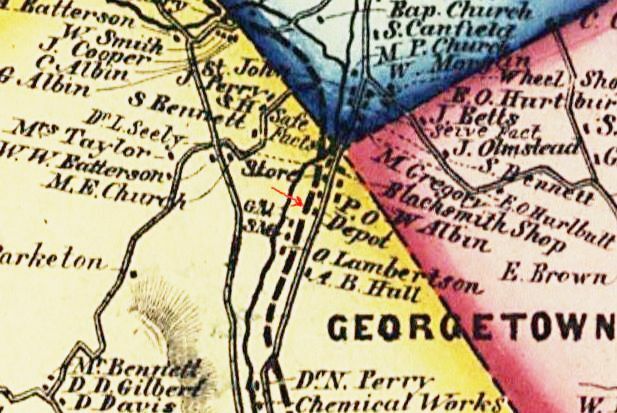 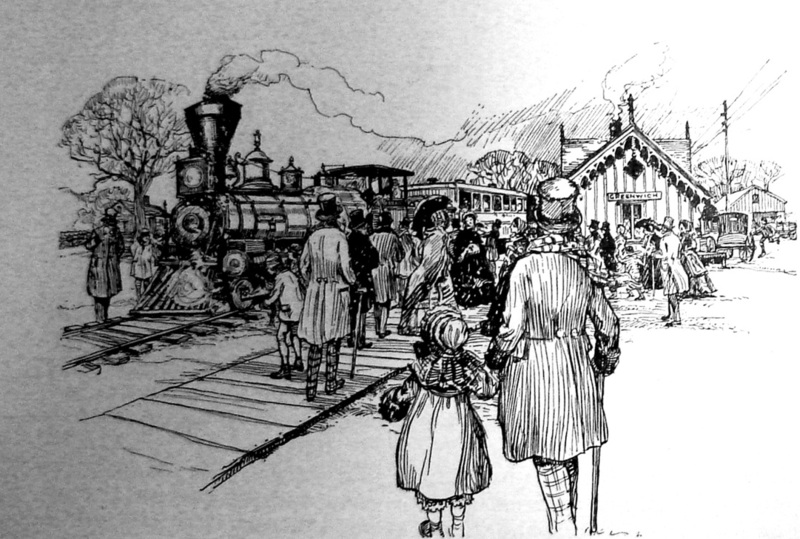 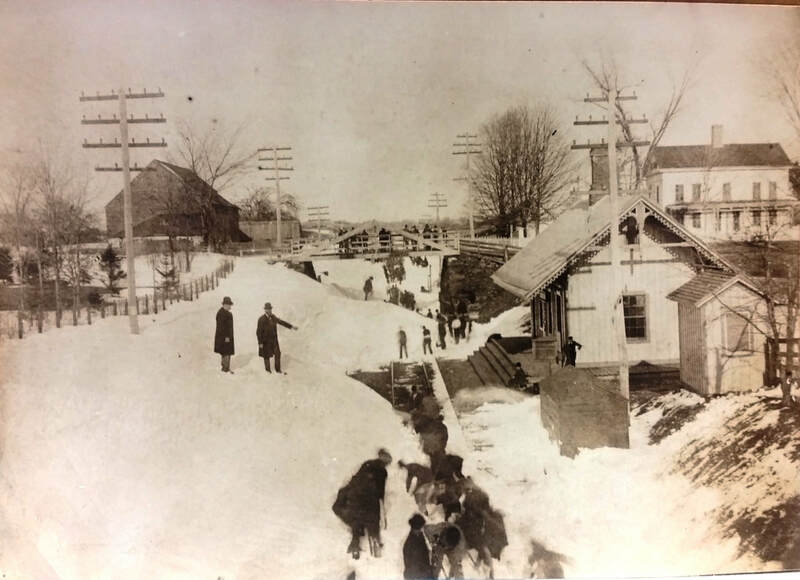 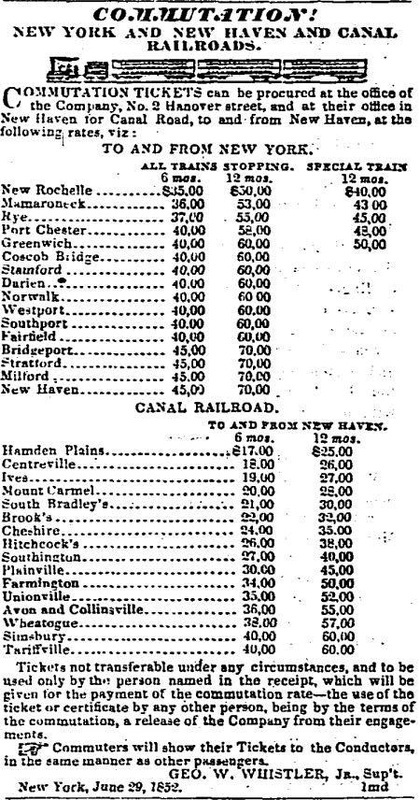 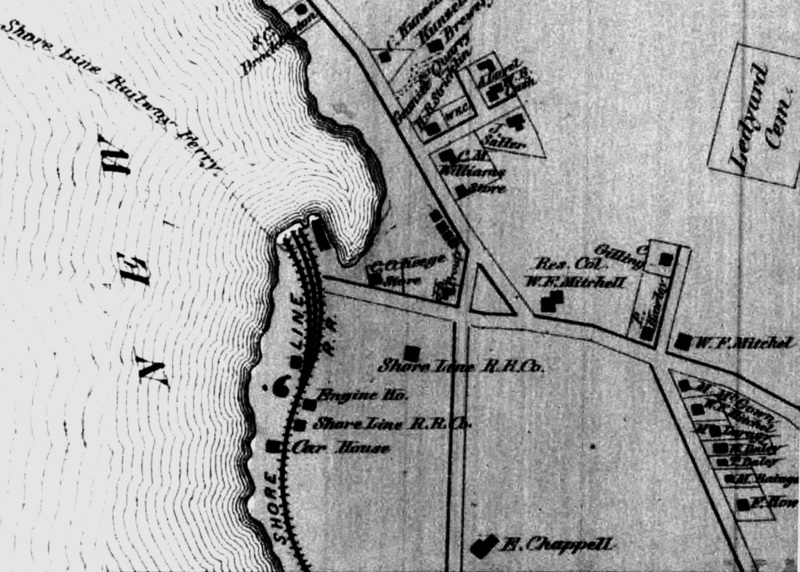 Stop in the town of Plymouth and originally known as HOADLEYS on the opening of the HP&F line from Bristol to Waterbury in 1855.